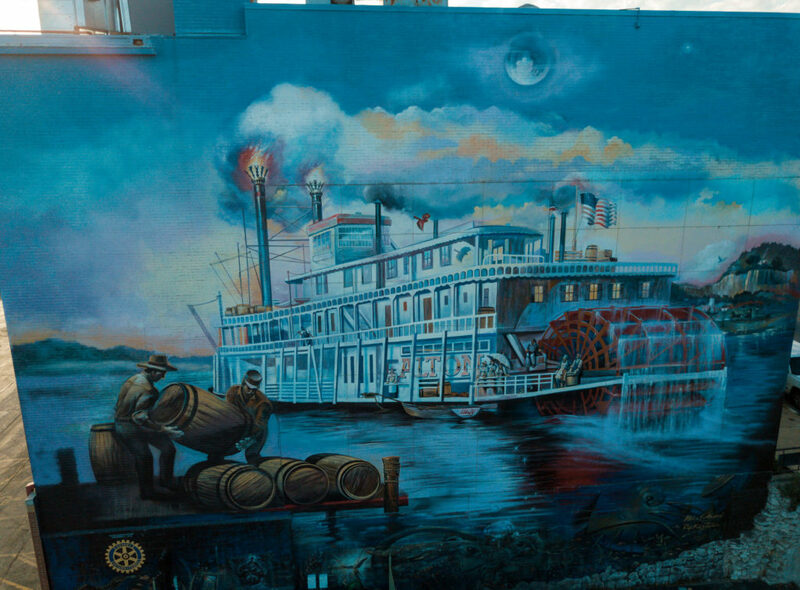 On the mighty Mississippi, you’ll find an alluring group of small towns that will entrance you with their historical charm, excellent dining options, and thrilling activities. 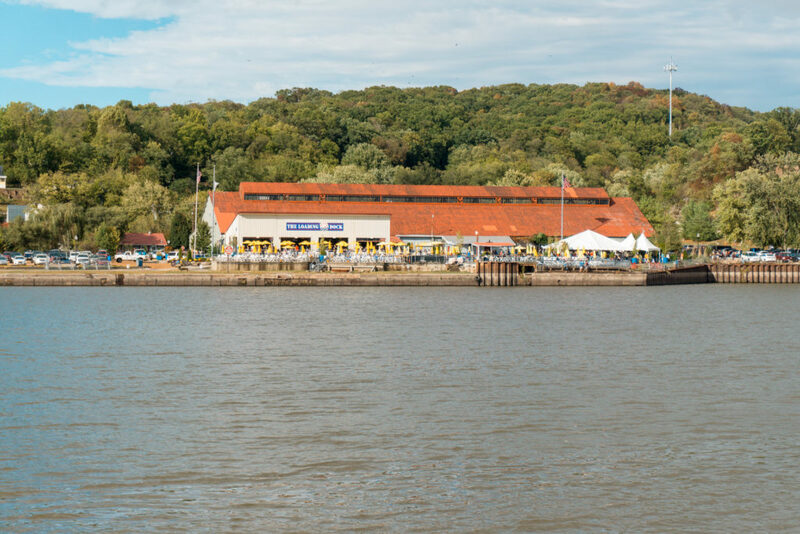 Drive along the Great River Road and see what this weekend getaway in Illinois holds. Disclaimer: We want to thank the Alton Convention & Visitors Bureau for inviting us as their guests. 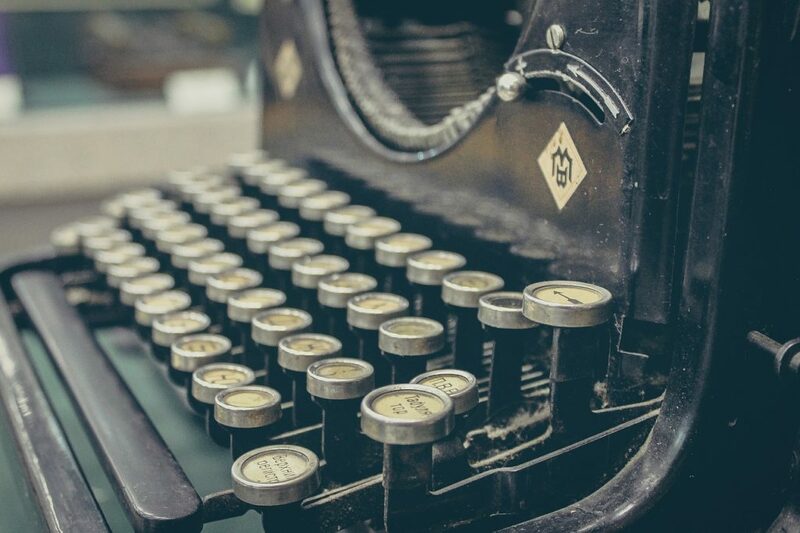 As always the thoughts and opinions expressed here are entirely our own. 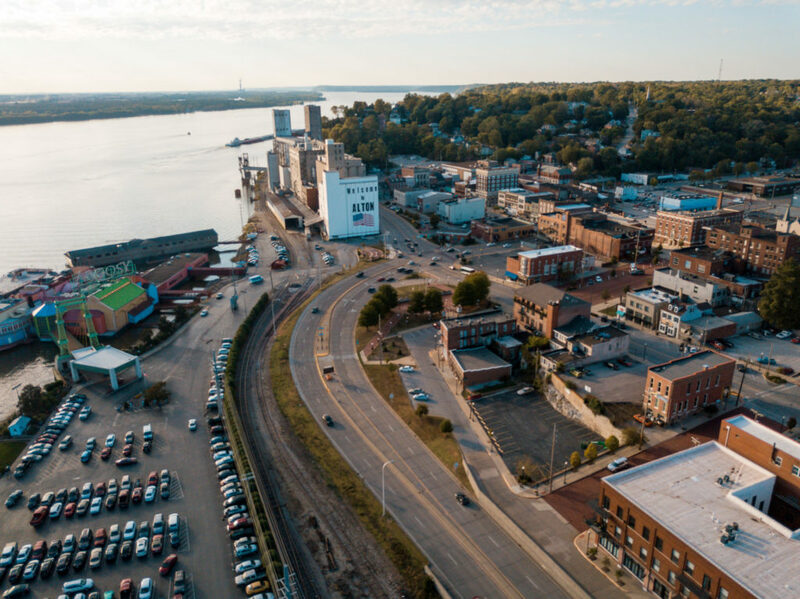 Alton, Illinois is a small town of roughly 28,000 people located on the Mississippi River approximately 15 miles north of St. Louis, Missouri. 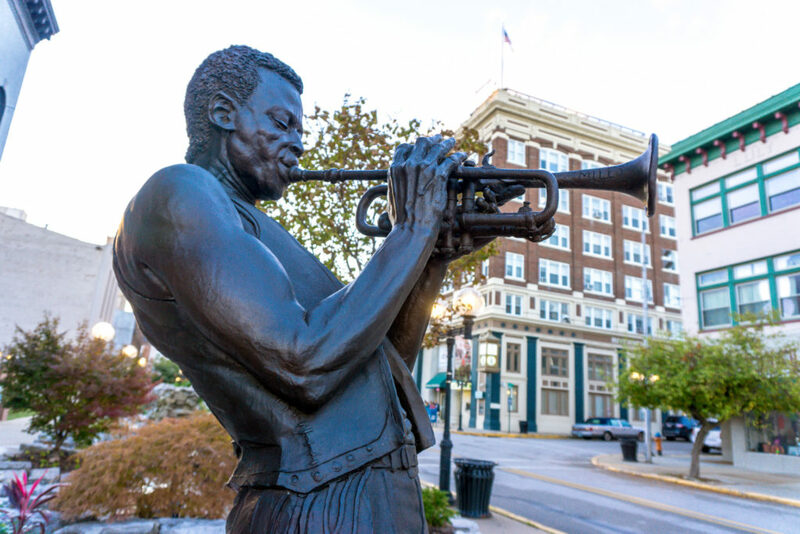 It is famous for the gorgeous limestone bluffs, its role in the American Civil War, and is the hometown of jazz musician Miles Davis and the tallest person in history, Robert Wadlow. 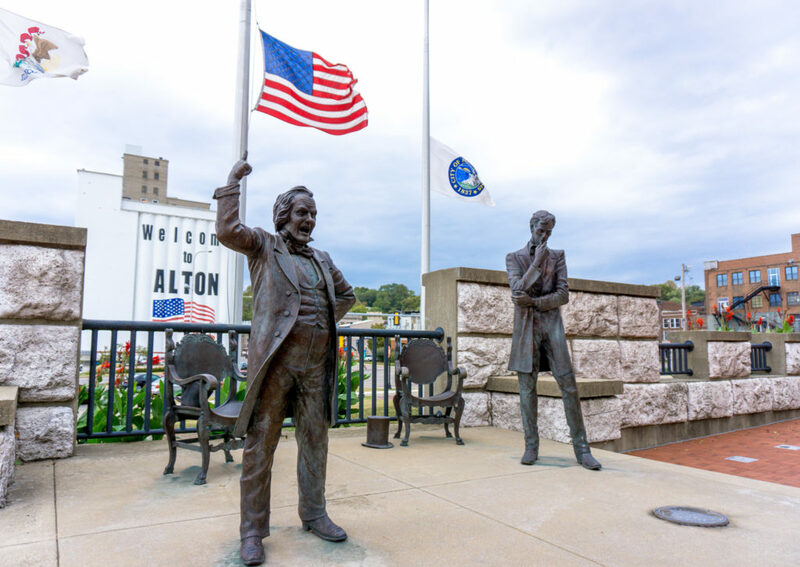 It is also the city where Abraham Lincoln practiced law for a period of time and held the last of Abraham Lincoln and Stephen Douglas’ Senate debates. 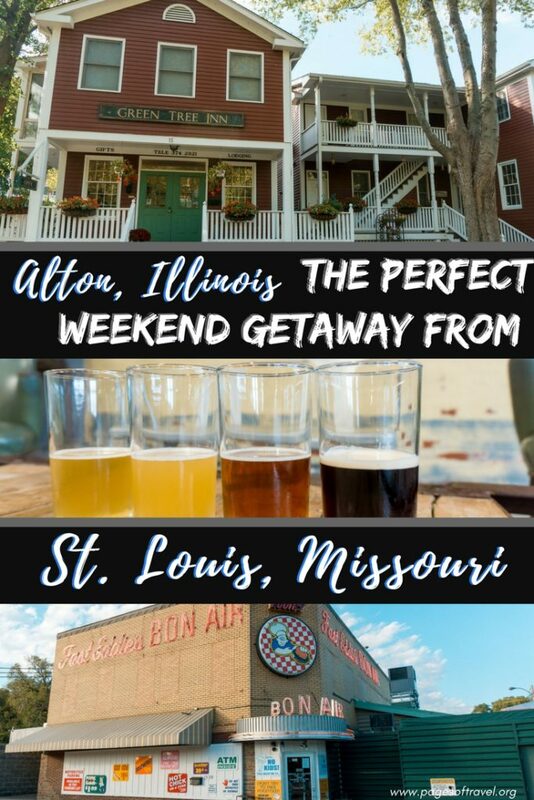 Since you’ll be spending the majority of these romantic getaways in Illinois in the Alton area we recommend you stay at the Green Tree Inn in nearby Elsah, Illinois, a small historic village of approximately 675 people. 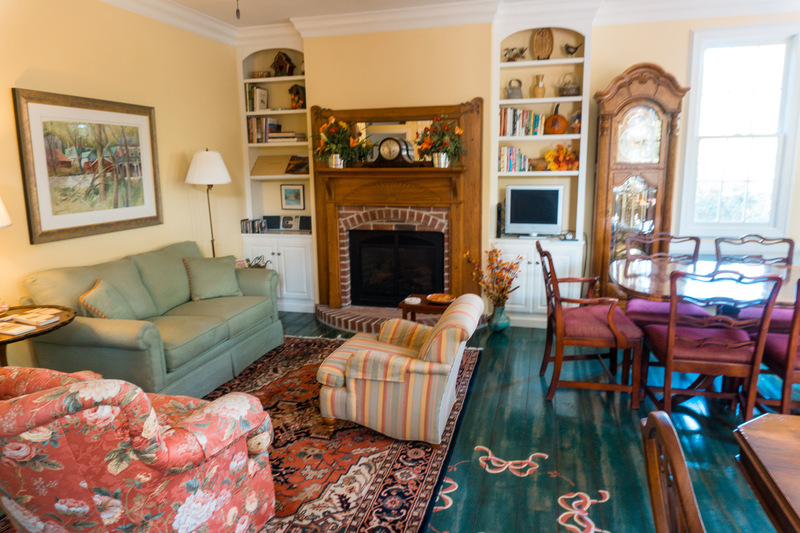 At the Green Tree Inn, owners Gary and Connie go above and beyond for all of their guests treating them as if they were family. 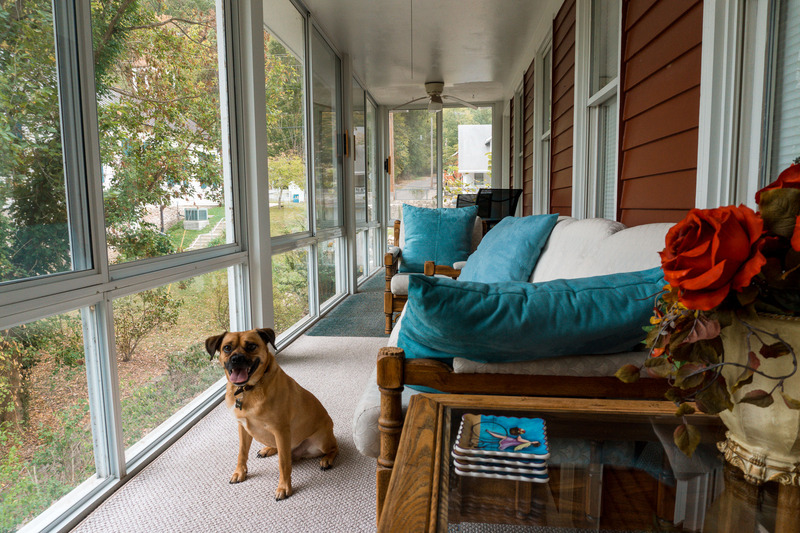 We loved our stay in the pet-friendly room which had a comfortable bed, ample storage space, and our favorite part, the cozy screened-in porch, which our dog, Bentley enjoyed sunbathing during the day and we enjoyed listening to nature in the cool evening. 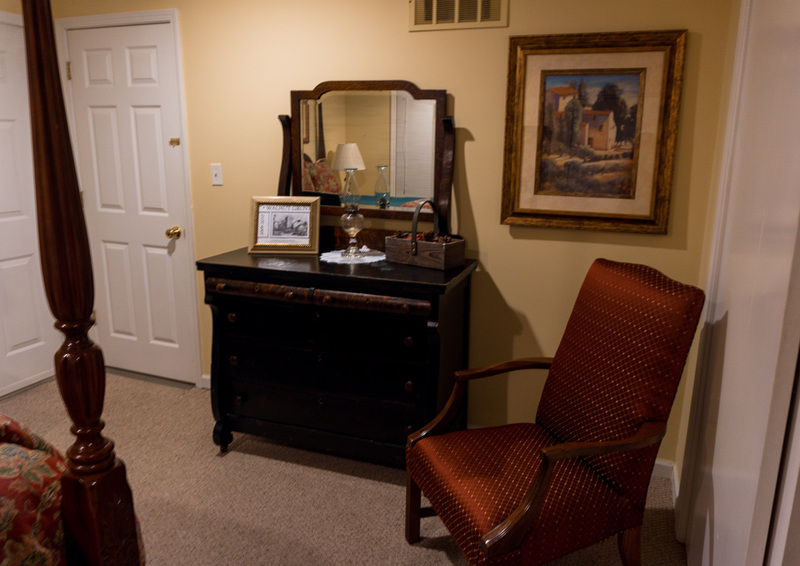 All basic toiletries are provided for each guest as well as a set of bicycles to use on one of the many nearby paths or the Great River Road. 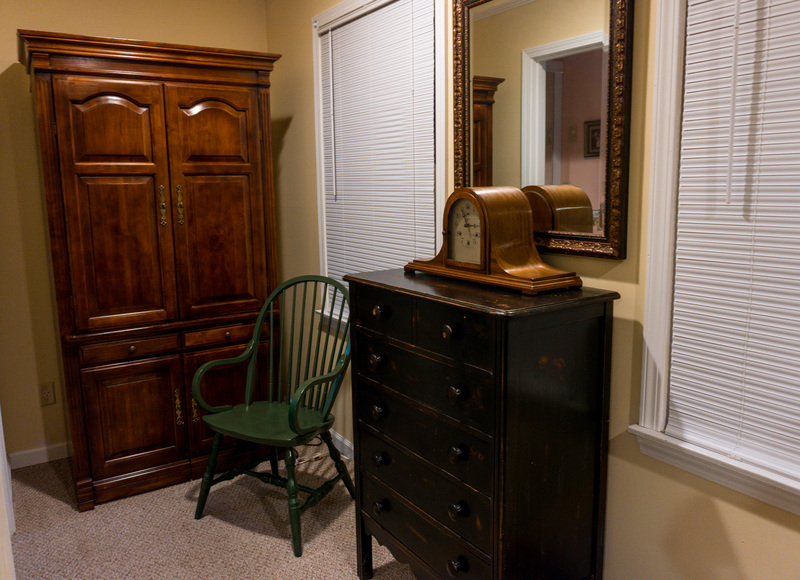 If you need any other last minute items, the Elsah General Store is within walking distance or you can drive to Grafton, Illinois (5 minutes by car) or Alton, Illinois (20 minutes by car) which makes the Green Tree Inn of Elsah in an ideal location for your romantic getaways in Illinois this weekend! 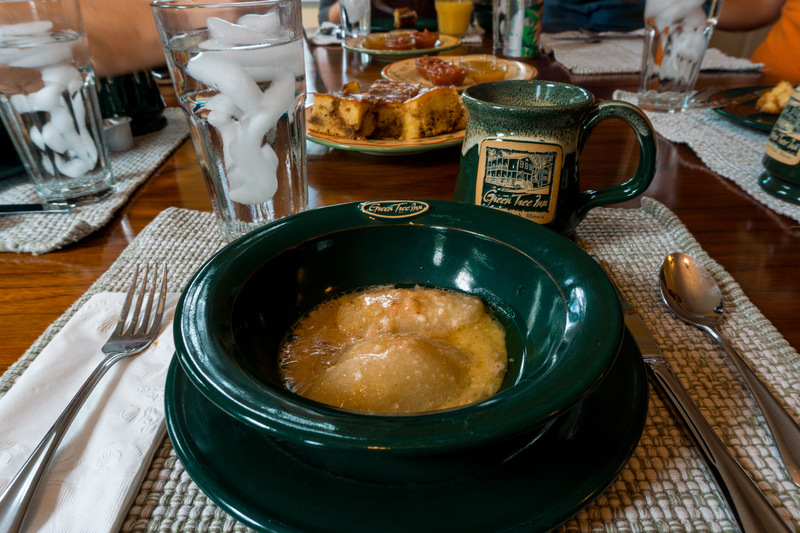 Each morning, Connie prepares a delicious breakfast and afternoon sweet treat all of which are delicious! 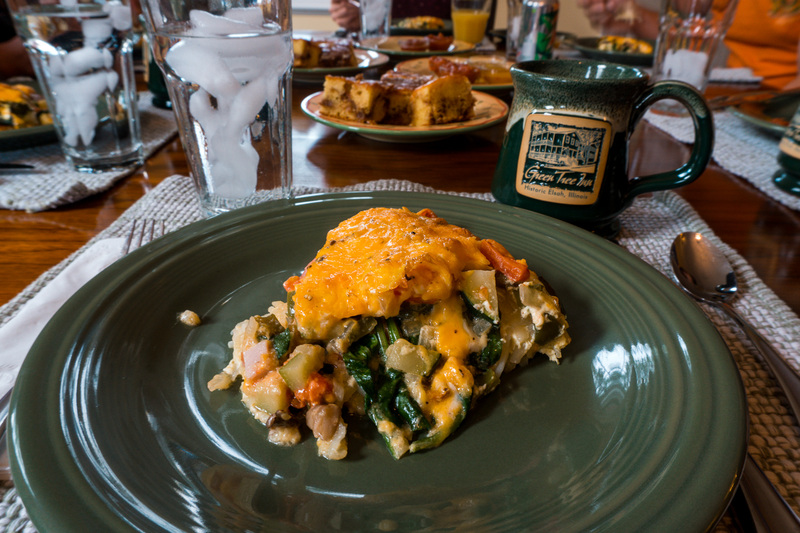 The hash brown quiche, pumpkin pancakes, fresh baked apples, and peanut butter gooey butter cake made for an indulging culinary experience. 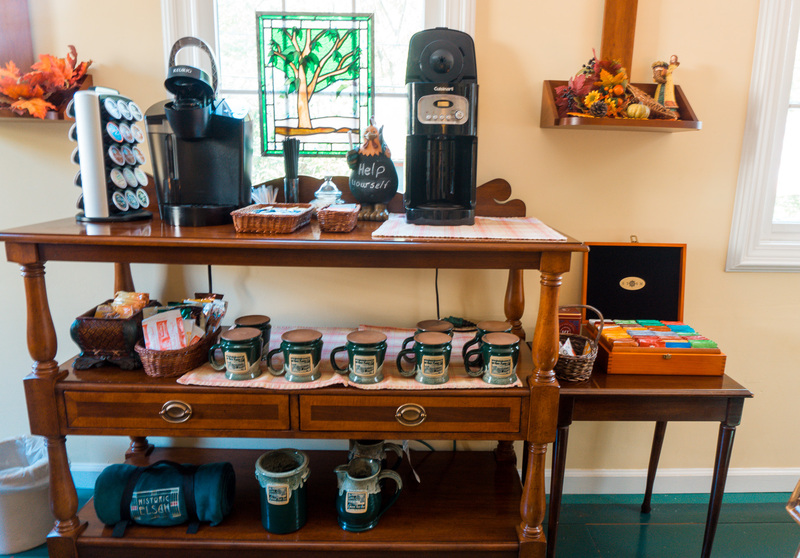 Another benefit is the variety of beverage options for guests. 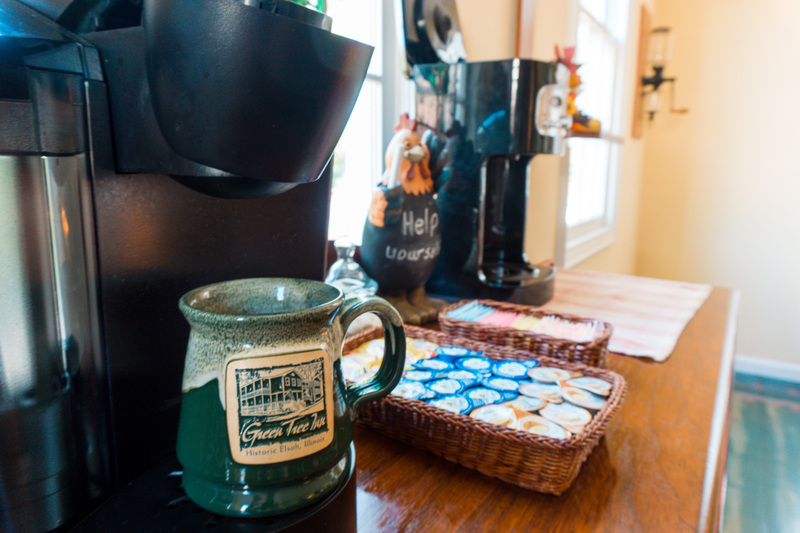 Connie and Gary keep a fridge stocked with complimentary sodas and water and also have a Keurig and regular coffee maker that guests can enjoy any time of the day. 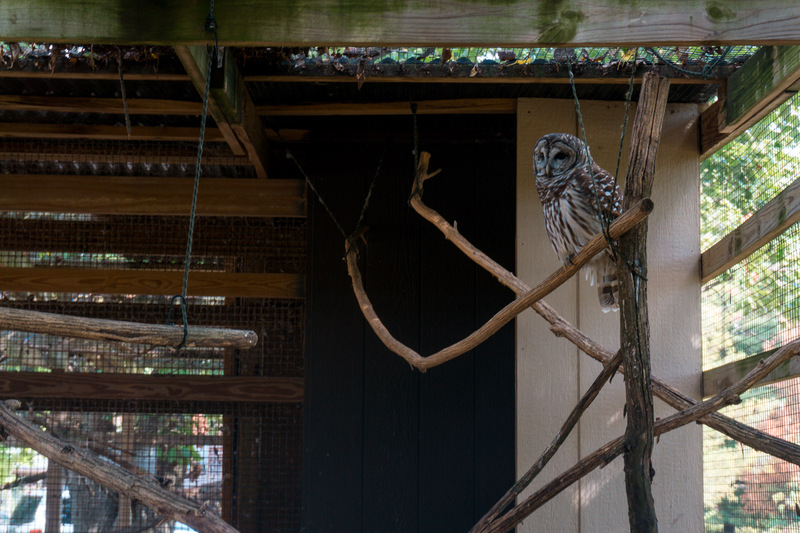 During our stay, Gary graciously gave us an outstanding tour of Elsah highlighting the history of the town and took us to the nearby college, Principia and TreeHouse Wildlife Center, an animal rehabilitation center. 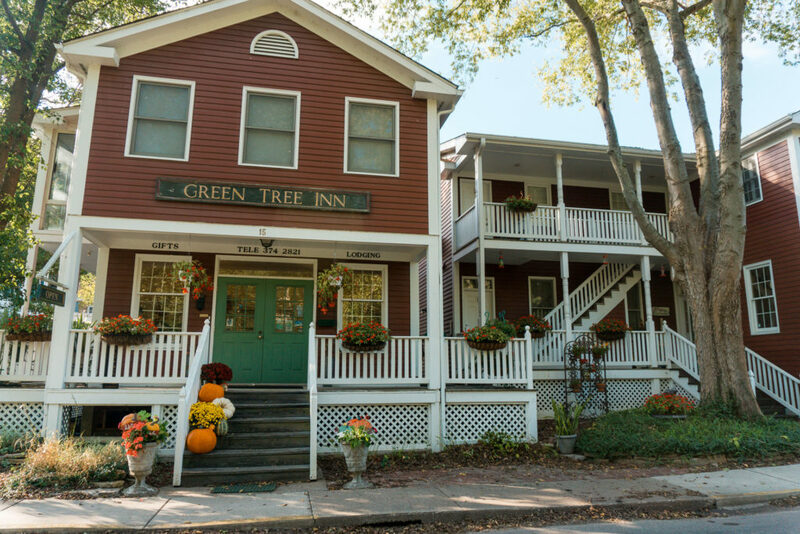 All of the added touches make the Green Tree Inn the perfect place for a romantic getaway, cozy family stay, or a trip for close friends. 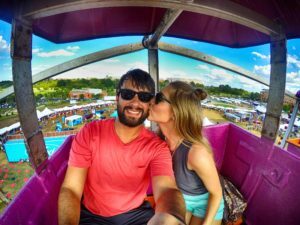 While spending our time at these romantic getaways in Illinois, we enjoyed a variety of activities that are great for all ages! 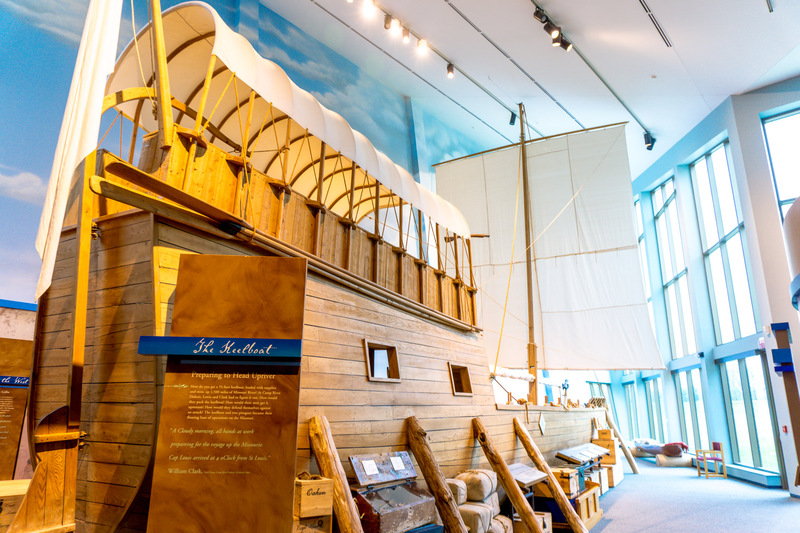 The meeting of the great rivers has tons of historical activities, outdoor activities, and even for activities for adrenaline junkies (just wait until you read what we did!). 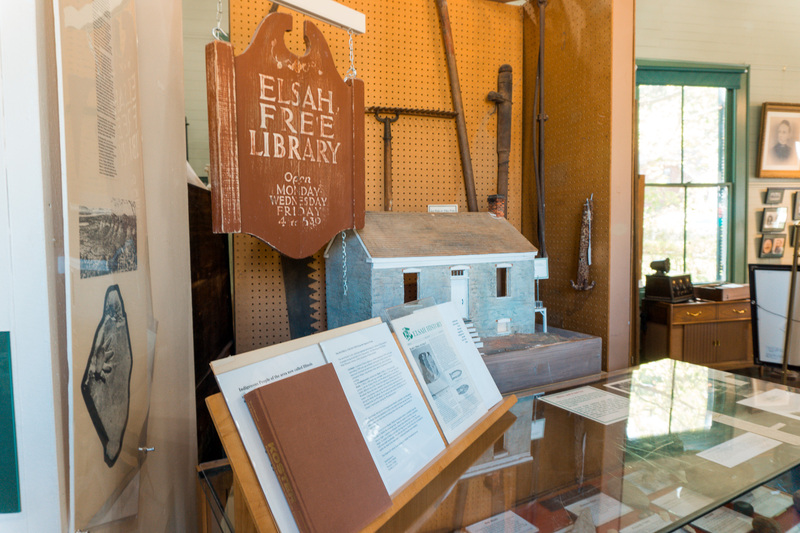 It was 1853 when John Semple, a lawyer, and prominent politician founded the town of Elsah, Illinois where he offered free lots of land to anyone who used stones from his quarry to build their homes. 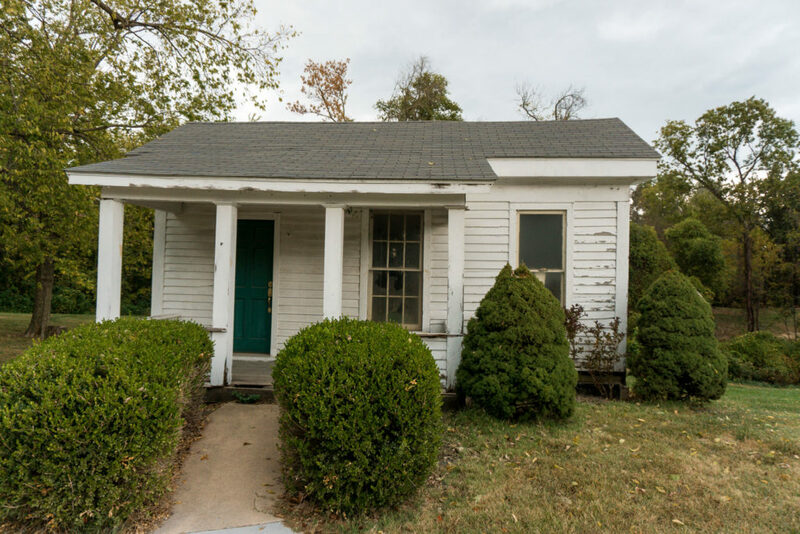 In 1973, this charming town was placed on the National Register of Historic Places. 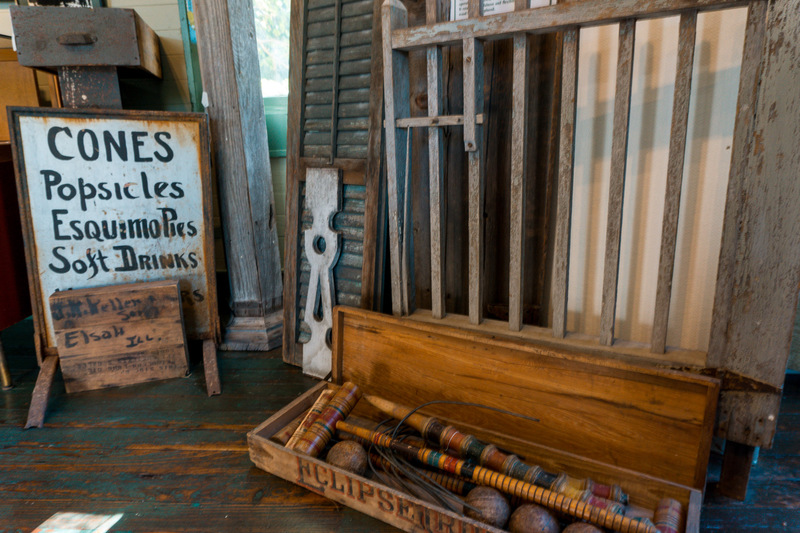 In the Elsah Village Hall, you can escape to the early 1800s to see the quaint homes and buildings of Elsah along with many antique relics that each tell a story of their own. The Village of Elsah Museum gives visitors a peaceful place to enjoy history and tranquil surroundings in a village where time stood still. 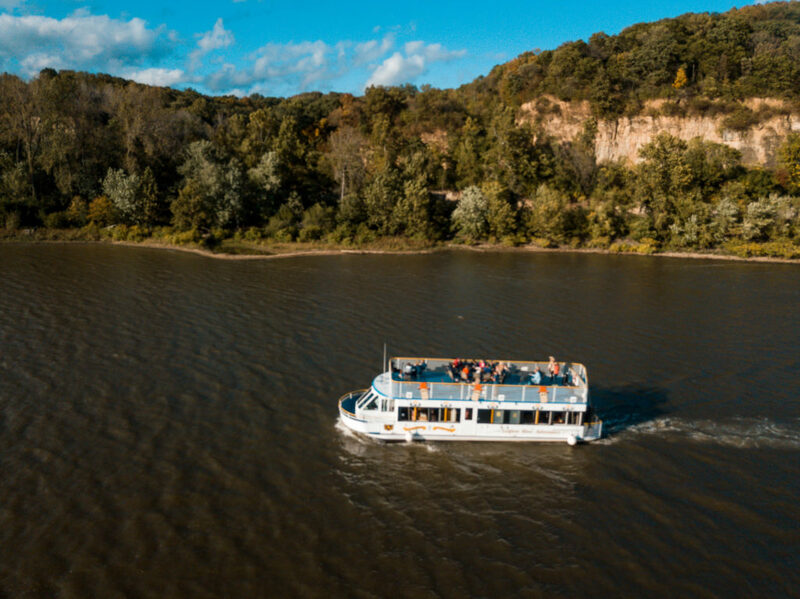 Cruise the Illinois and Mississippi rivers on this thrilling 49 passenger tour boat ride. 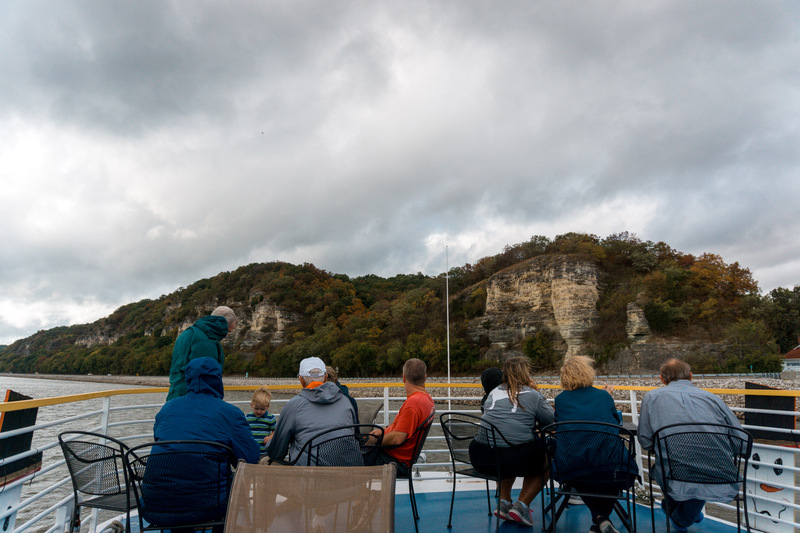 Choose between the open-air deck on the 2nd level for a 360-degree view of the river and bluffs or the enclosed temperature 1st level while you enjoy a one-hour tour of the rivers that also highlight the geographical and historical points of interest in the area. 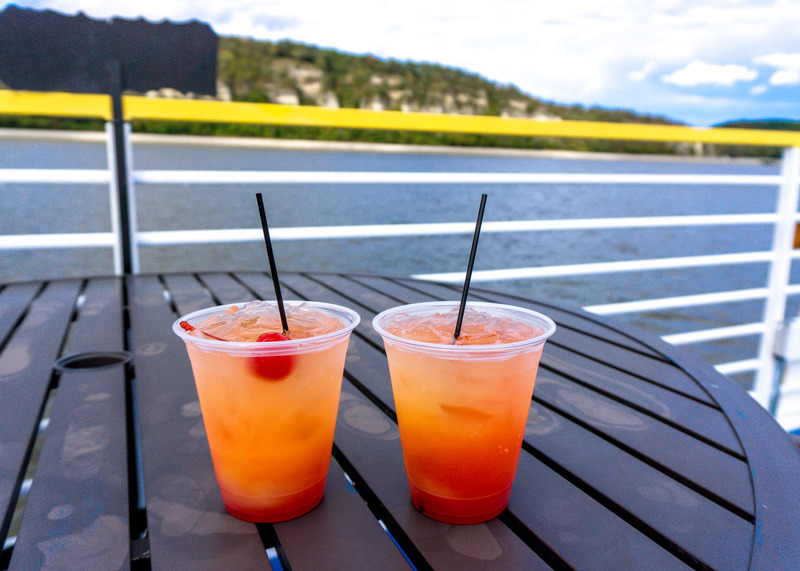 Onboard, you’ll also find restrooms and the Tiki Bar that offers drinks and light snacks. The Hakuna Matata is also available for private cruises. 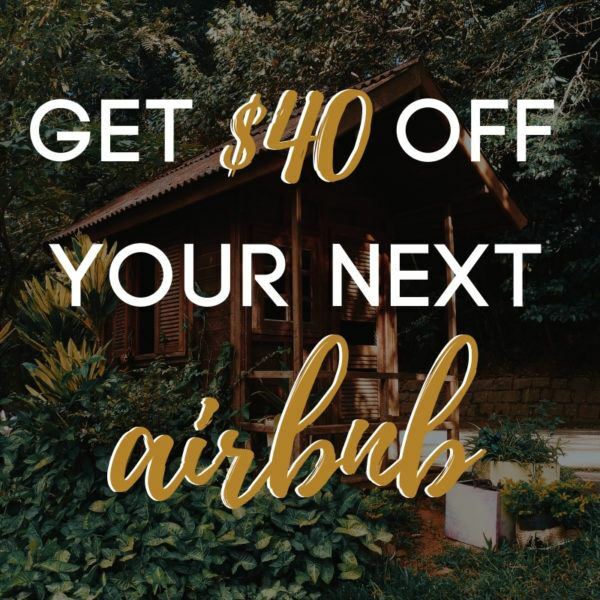 Looking for a wild adventure? Encounter “The Best View in the Midwest” for yourself while gliding in the sky; an experience that will simply take your breath away. 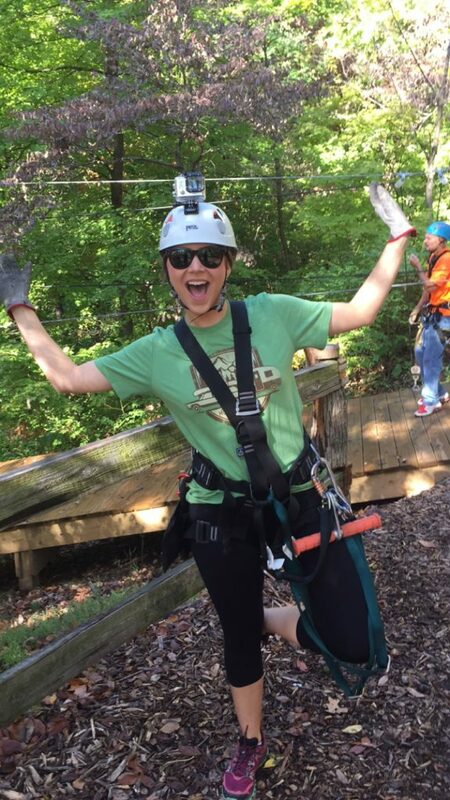 This all-new course was designed by the infamous Treehouse Masters which makes this course unique to other zipline courses. 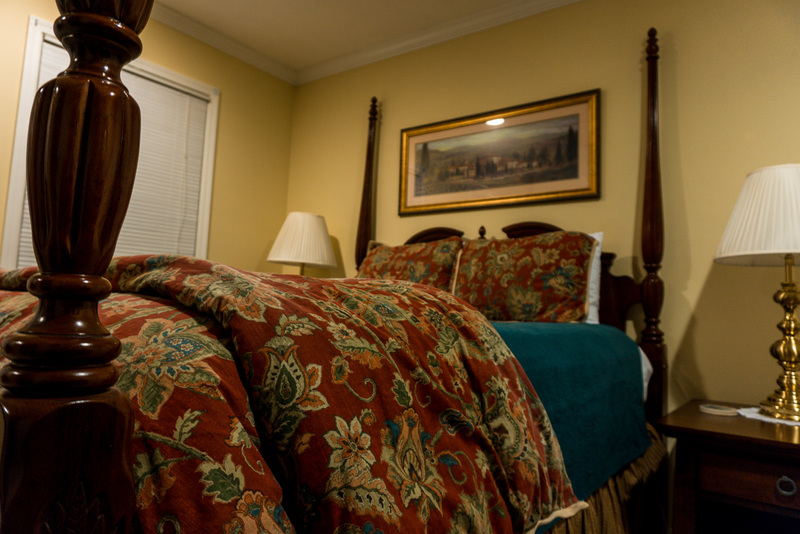 Each of the seven zips offers a different view of the nearby limestone bluffs and the lush forest below. Fear of heights? Haven’t zipped before? Have no fear! 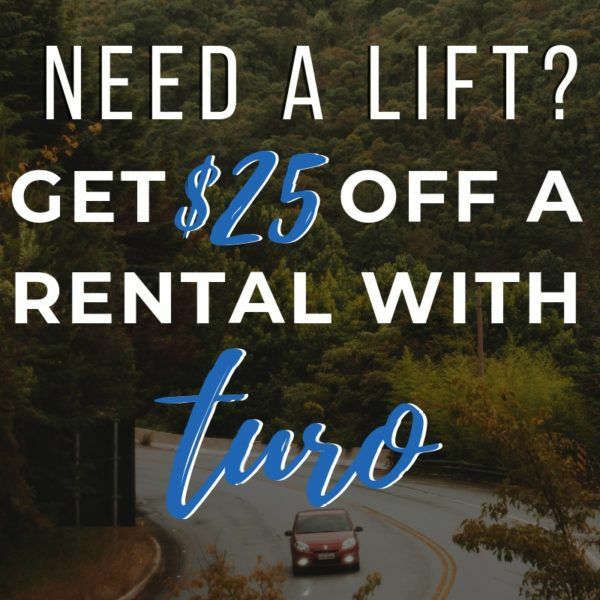 The highly trained and professional staff will make you feel safe and comfortable for your first ride. 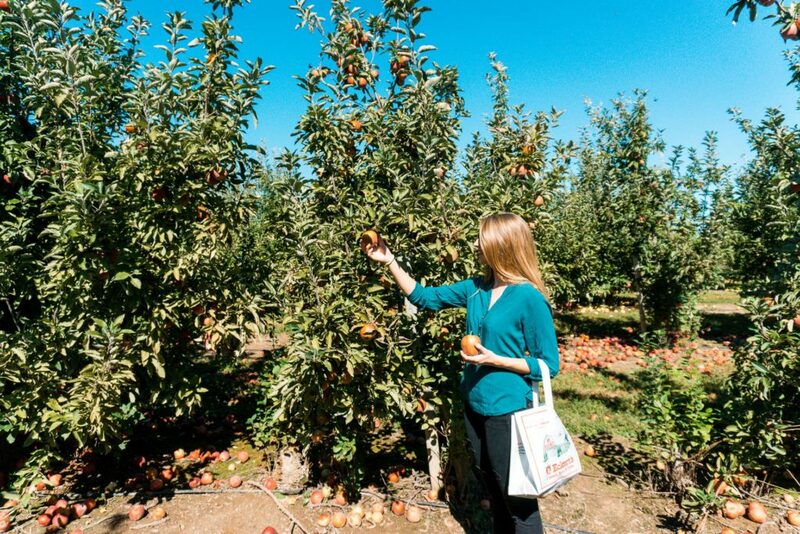 There is nothing that shows the turning of the seasons like an orchard. 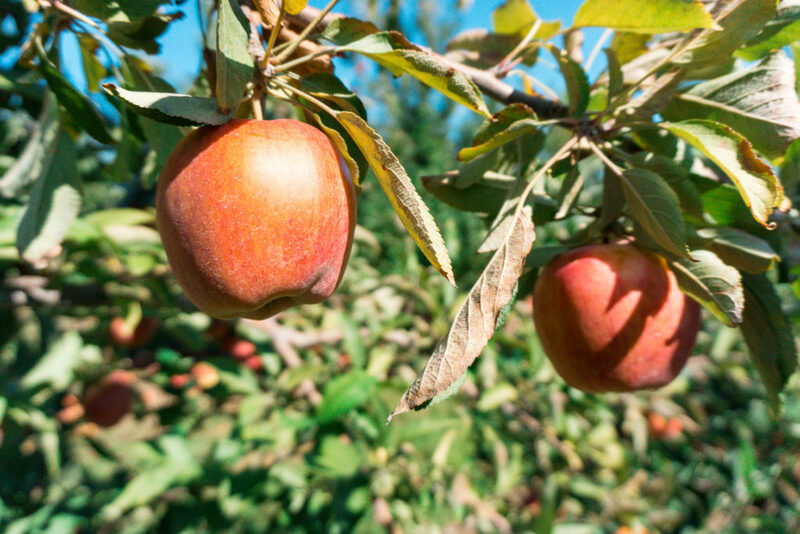 Eckert Farms has been a family-owned and operated business for over 100 years that offers year-round seasonal crops such as blackberries, peaches, apples, and pumpkins. 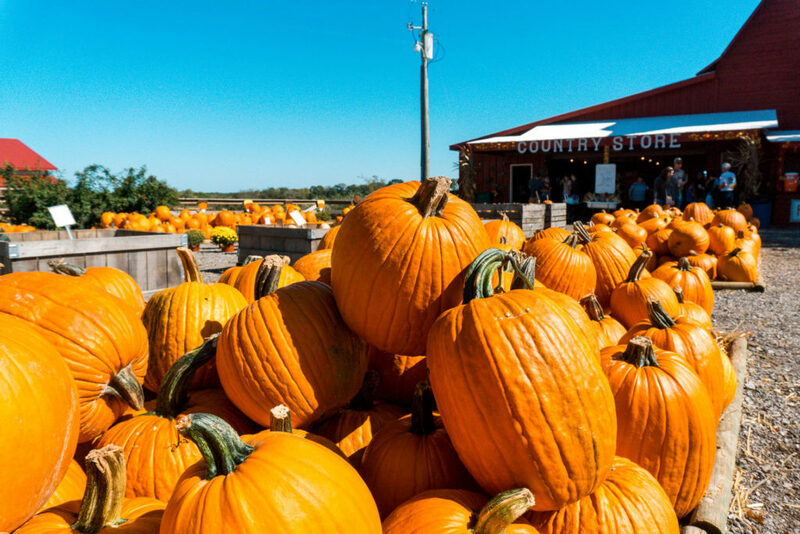 Enjoy fun for all ages while picking your own fresh apples and pumpkins right off the vine. 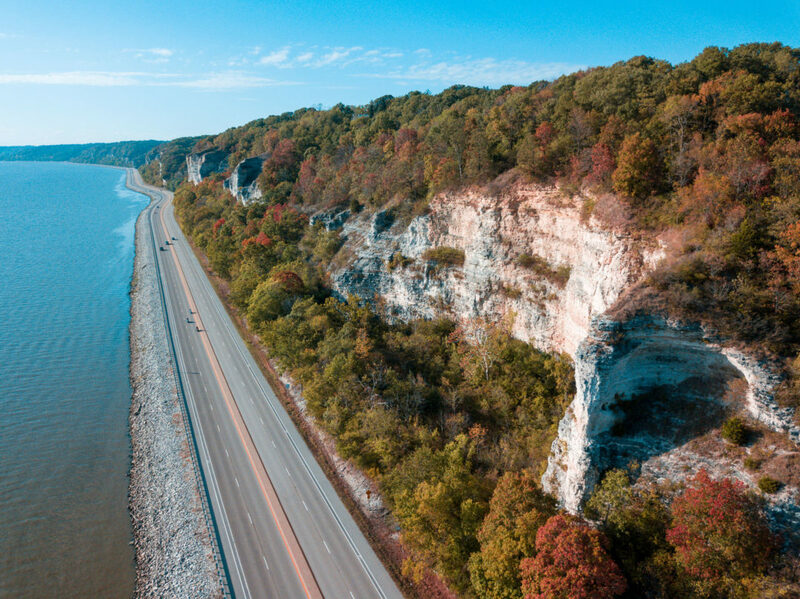 Visit the largest state park in Illinois known for hiking, fishing, biking, camping, horseback riding and scenic views on the drive through the park. 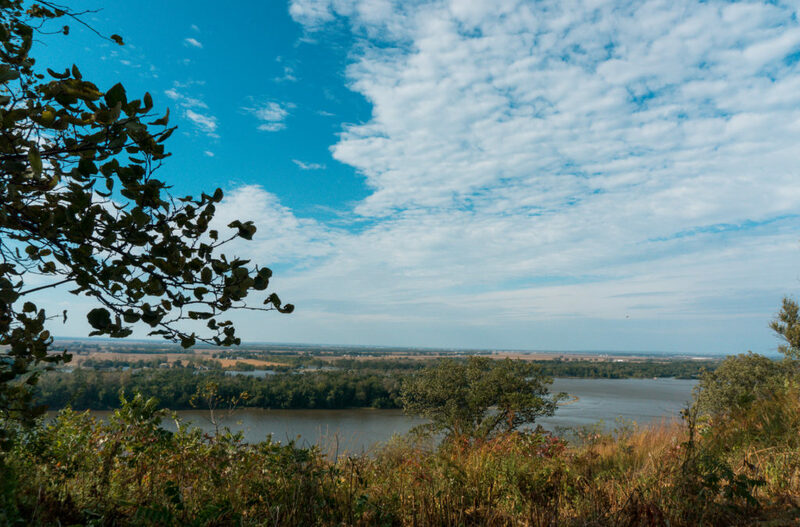 Pere Marquette offers eight different hiking trails of various lengths and difficulty that you’re bound to see wildlife including many species of birds. Gorgeous in all seasons, autumn in Pere Marquette offers the beauty of fall foliage and cool, crisp air. 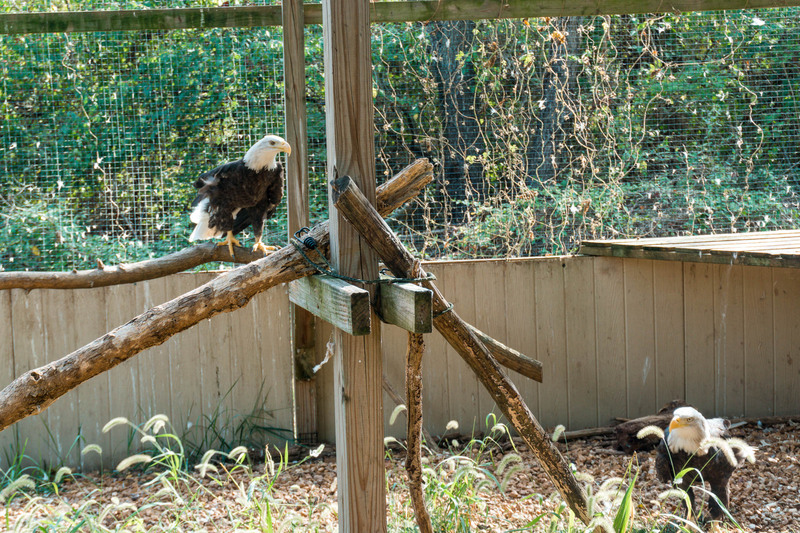 During the winter months, visitors come from far and wide to attend eagle tours. Have you heard about the tallest man in the world? 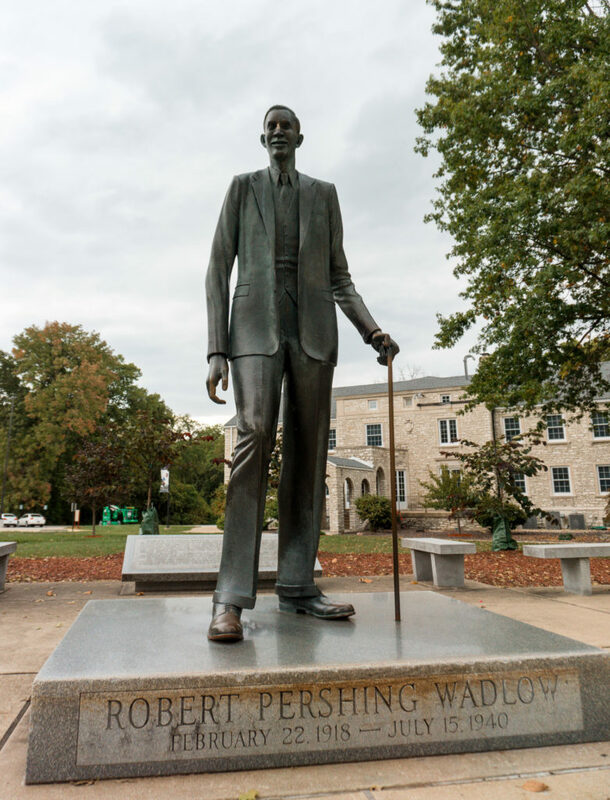 Robert Wadlow was born in Alton on February 22, 1918, weighing only eight pounds, six ounces. However, due to a pituitary gland disorder, at six months old he weighed almost 30 pounds. He continued to grow at an incredible rate graduating high school at 8 feet 4 inches. Robert Wadlow’s Childhood home is located next to his statue. In July 1858, Abraham Lincoln challenged Stephen Douglas to a series of debates while campaigning for one of Illinois’ Senate seats. Between the months of August and October, seven three-hour debates were held all over the state. The last being in Alton, Illinois. Approximately 5,000 people came to watch history in the making. Although Lincoln lost to Douglas for the Senate seat in 1858, ironically enough, Lincoln would go on to defeat Douglas in the race for President 1860. Although there is only one wall of this once substantial state prison left, the story is still immense. 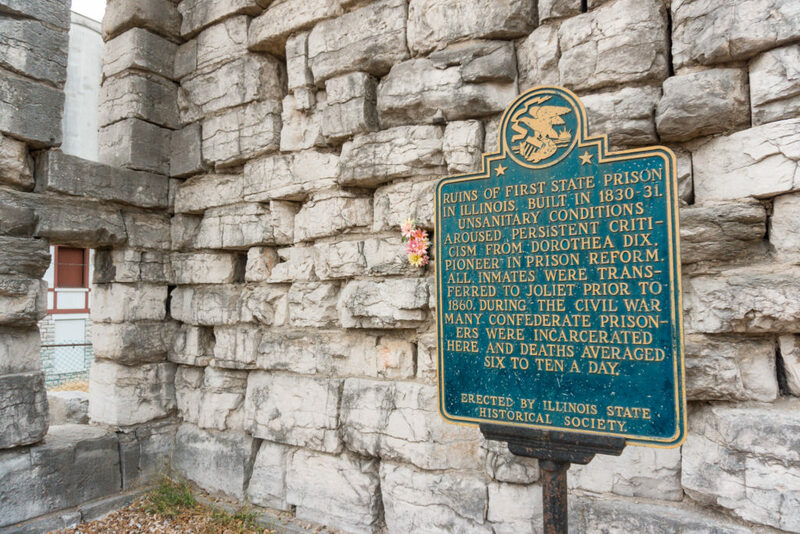 Built in 1830, the Alton Prison became the first state prison in Illinois. During the first three years of the prisons opening nearly 12,000 Confederate prisoners were incarcerated. 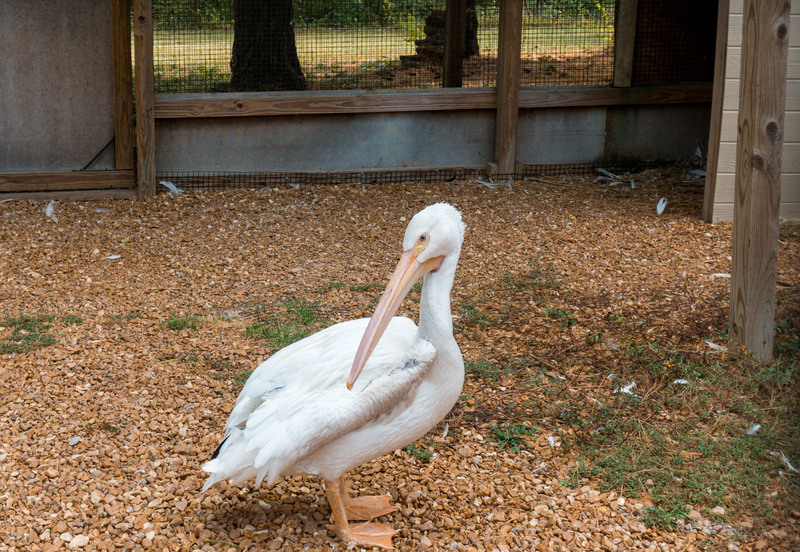 Due to unsanitary conditions, the mortality rate of the prison was far above the average. 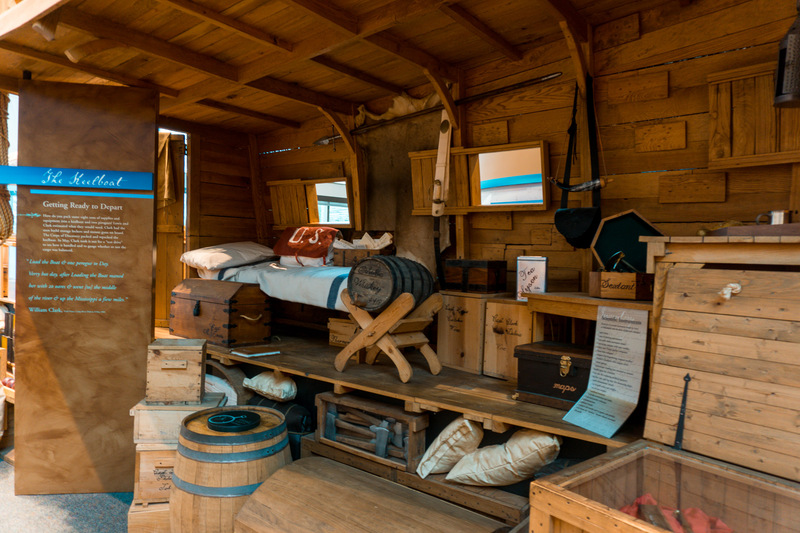 Pneumonia and dysentery were the most common causes of death but many other deaths were from poor nourishment and lack of supplies. The most feared illnesses, however, were smallpox and rubella. 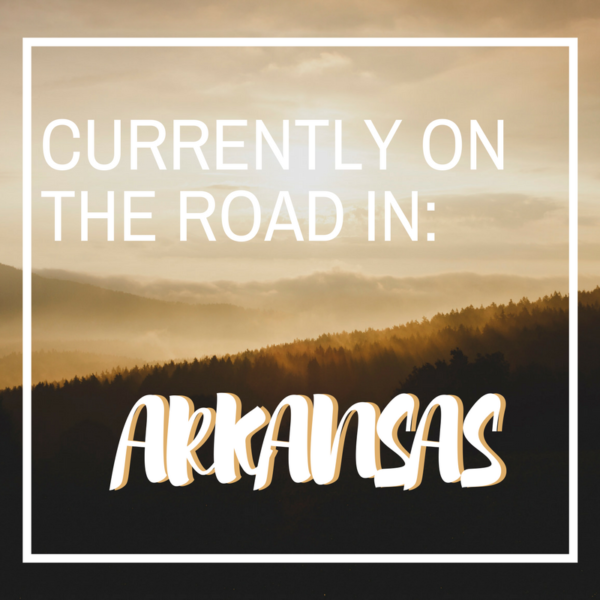 Due to the brutality of these infectious diseases, a quarantine hospital was opened on a small island across from the Mississippi. 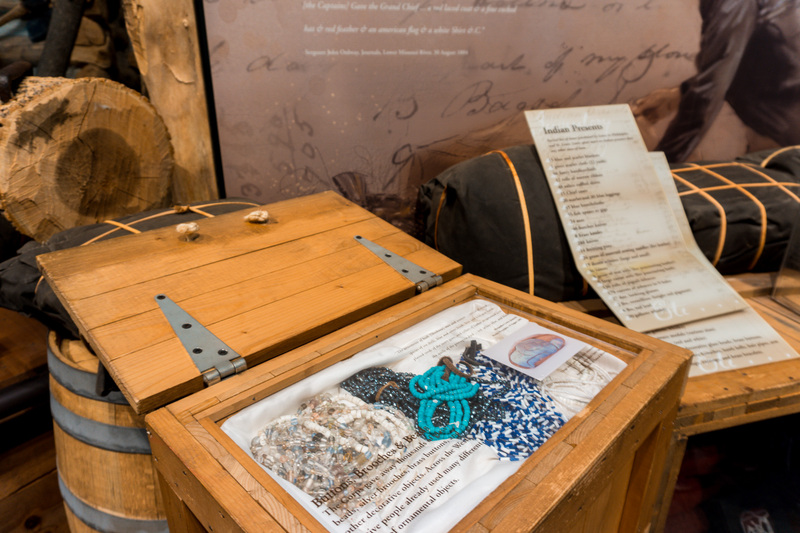 The island, known today as Smallpox Island, has over 300 prisoners buried there. In 1865 the prison closed and the rest of the prisoners were sent to St. Louis. 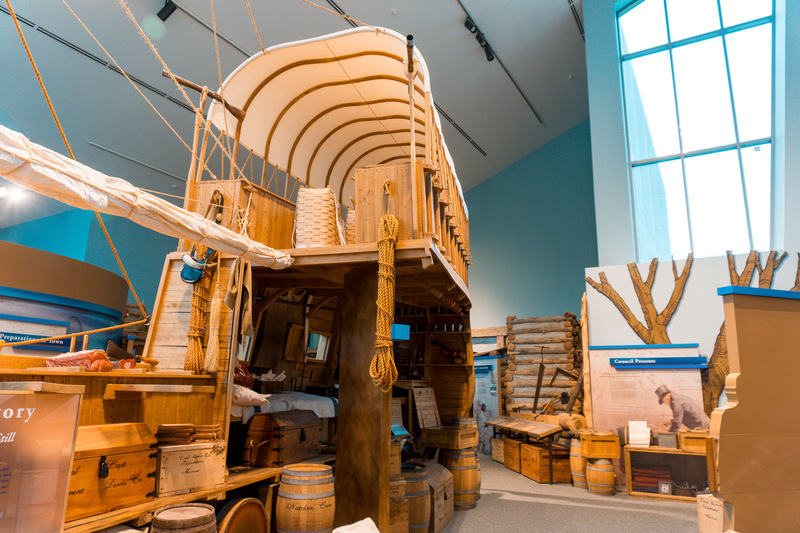 Many people are familiar with the Lewis and Clark Expedition that began in 1804 after President Thomas Jefferson suggested the first official government expedition to explore the unknown lands west of the Mississippi River. 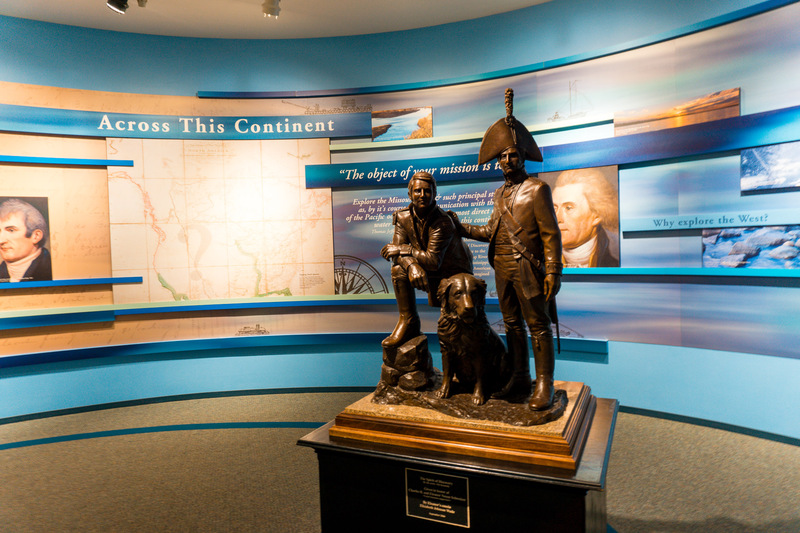 President Jefferson chose Meriwether Lewis to lead the expedition and find “the most direct & practicable water communication across this continent for the purposes of commerce.” Lewis enlisted in a friend, William Clark, to be co-commander of the expedition. We won’t spoil the rest of the story for you, find out more for yourself and step into the first chapter of this amazing journey west. Born in Alton, Illinois to a prosperous dental surgeon and music teacher, Miles Davis is noted to be one of the most influential jazz musicians of the 20th century. In 1935, Davis received his first trumpet as a gift from a family friend and took weekly lessons. In his childhood, he played for his school’s marching band and would later study at The Juilliard School in New York City before leaving to join Charlie Parker’s bebop quintet. During the course of his 50-year career, he won nine Grammy awards, recorded over 100 albums and was inducted into the Rock and Roll Hall of Fame. In 1991, Davis died from complications of a stroke, pneumonia, and respiratory failure. However, his legacy lives on today through his music and influence in the jazz world. Natives of this region called the monster “The Piasa” meaning, the bird that devours men and said that it terrorized their villages swooping down and carrying off hunters. 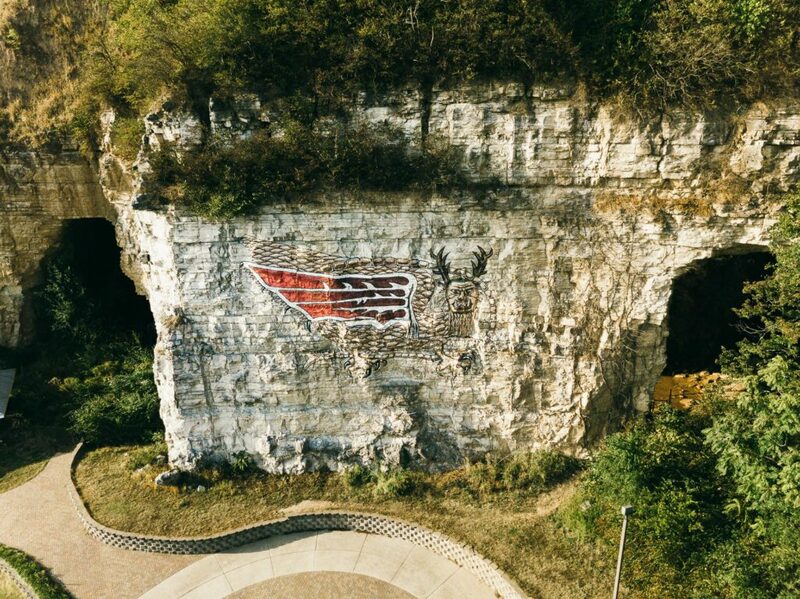 The painting of this mythical creature is a local landmark in Alton, Illinois, and despite being destroyed three times, it has been recently restored in the 1990s. 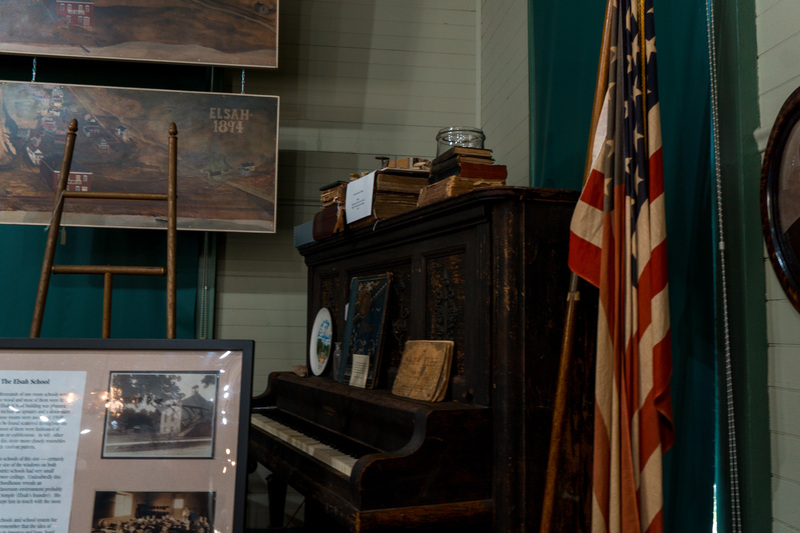 You can’t leave Alton, Illinois without stopping at least one of the shops in the Historic Antique Row. 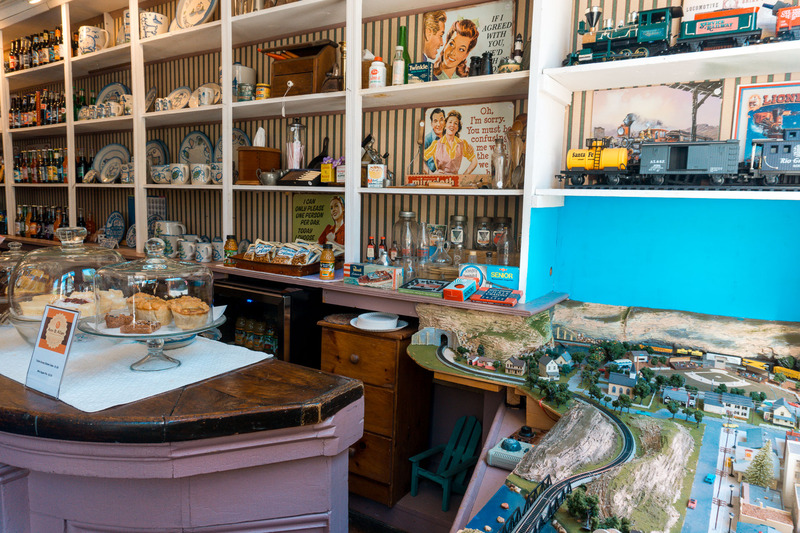 The row features more than 30 antique and specialty shops that captivate shoppers with countless of strange or uncommon goods. 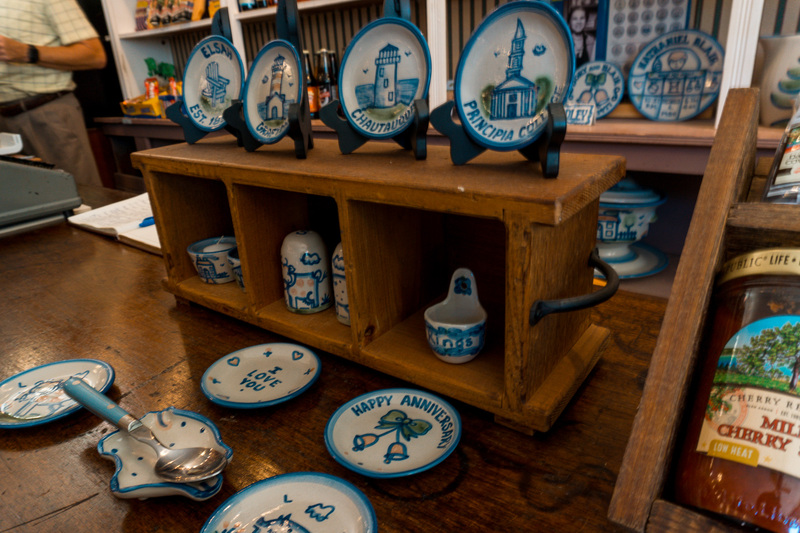 Rummage through an assortment of antiquities such as small collectibles, furniture, or items from around the world. 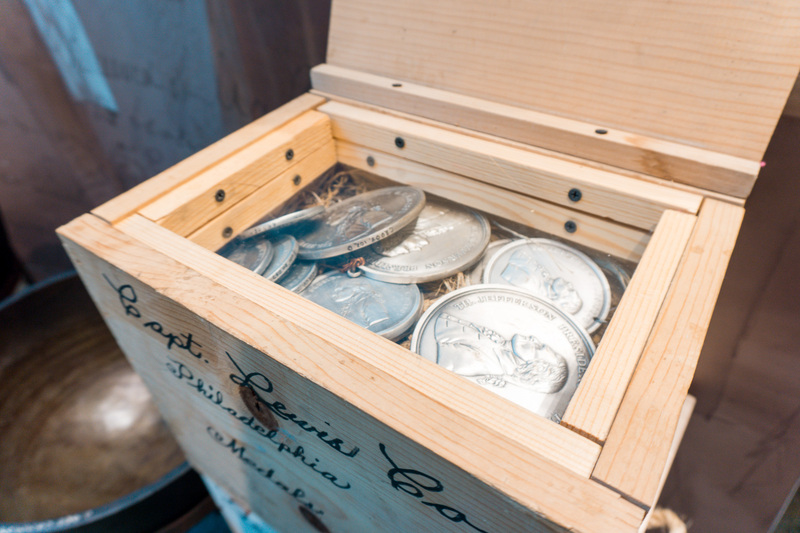 Test your luck at the Argosy Casino, the first riverboat casino in the St. Louis/Alton area. The Argosy provides free self-parking and free valet parking and offers a variety of slots, table games, dining options, and a smoke-free environment with designated smoking rooms. 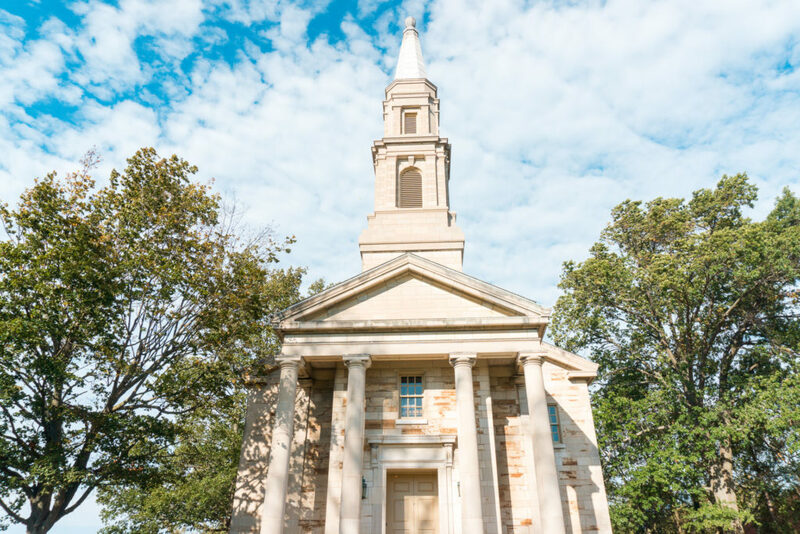 Chances are if you are seeking a few romantic getaways in Illinois, you’ll want to find fun and lively places to eat plus finer dining establishments too! These places to eat in Alton and Grafton are a great variety of food choices for lunch and dinner. 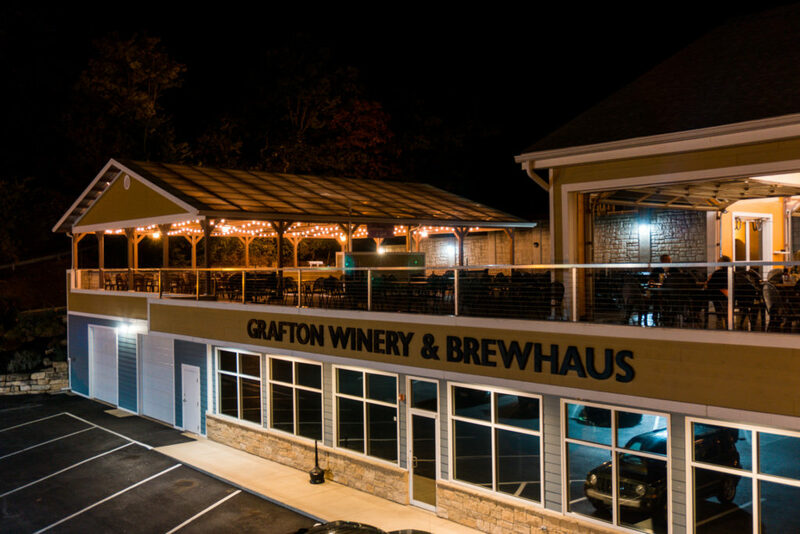 Grafton Winery & Brewhaus is located in heart of historic Grafton and offers award-winning wine, an ample beer selection, and a diverse menu that changes by the season. The evening ambiance on the rooftop patio makes for the perfect romantic setting. 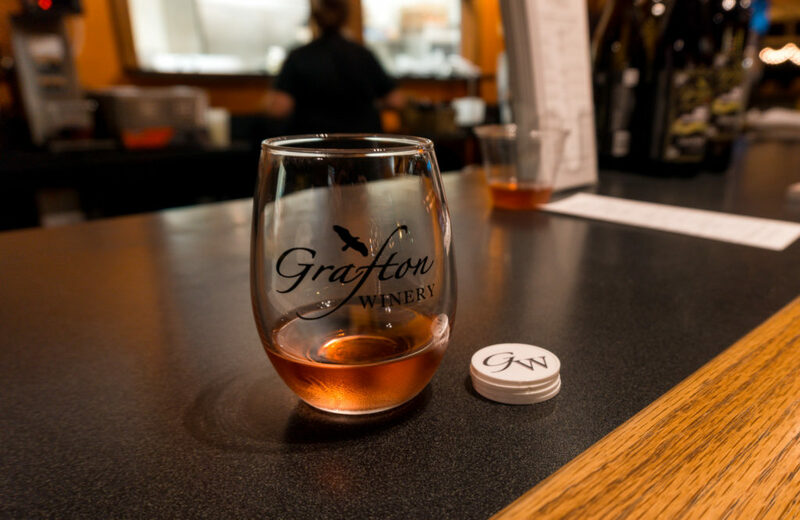 For only $5, sip on a wine flight in which you receive five different tokens to use towards any of their award-winning wines and keep the souvenir tasting glass. 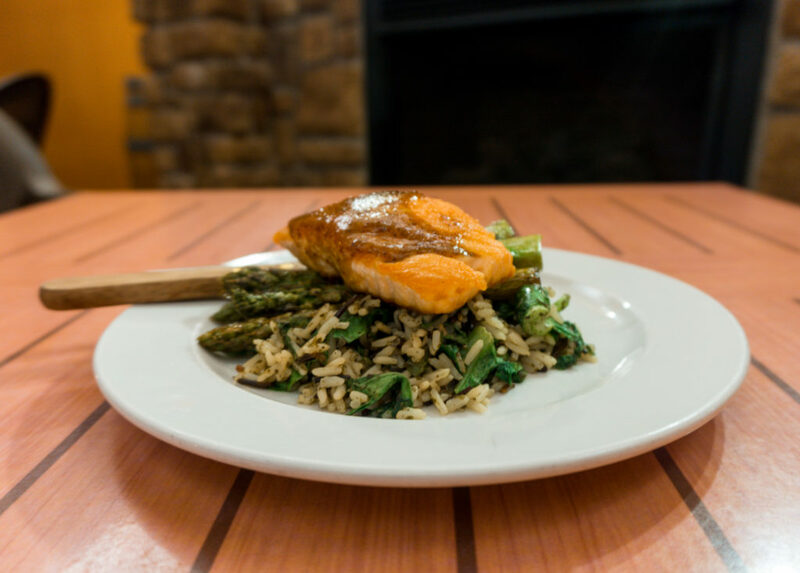 Indulge in one of many delicious menu options such as Pan Seared Salmon with wild rice, Swiss chard, and seasonal vegetables or the Chicken Andouille Alfredo with sweet peppers, chicken, shrimp, and andouille sausage in a cajun cream sauce linguine. 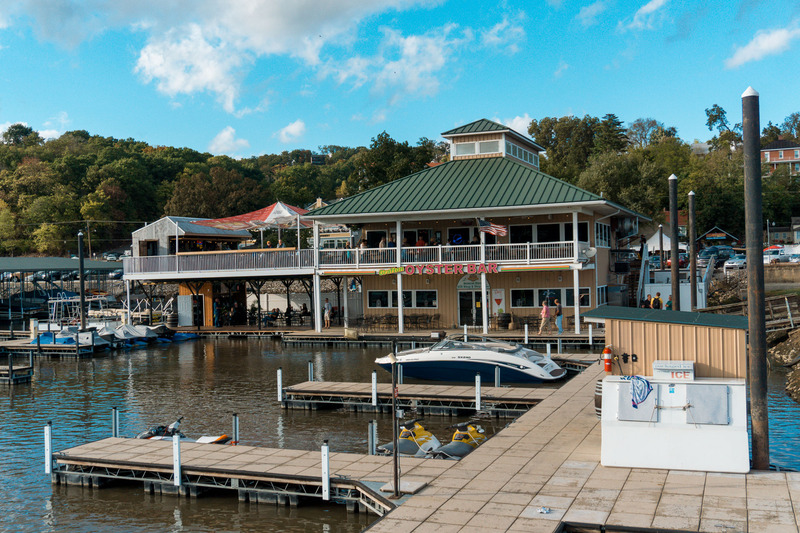 Soak up some vitamin D and grab a leisurely lunch and mixed drinks at this popular riverfront restaurant. The menu is small but the prices are reasonable. 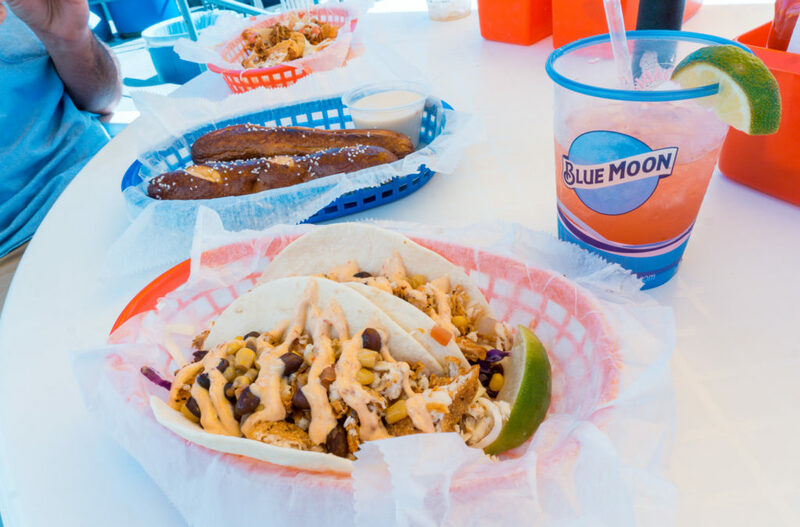 We grabbed some fish tacos, pretzels, and nachos along with some of their signature cocktails. 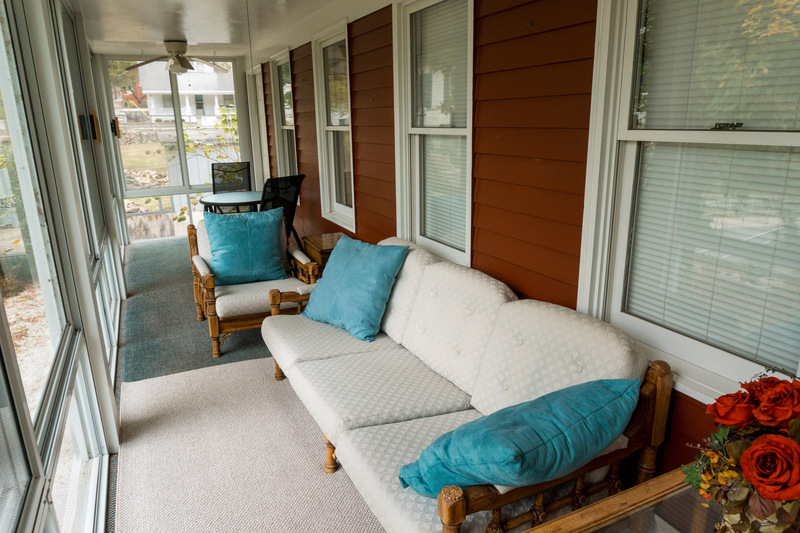 However, service isn’t quick so prepare to stay for awhile and enjoy the scenic river views from one of the yellow umbrella outdoor tables where pets are welcomed gladly. 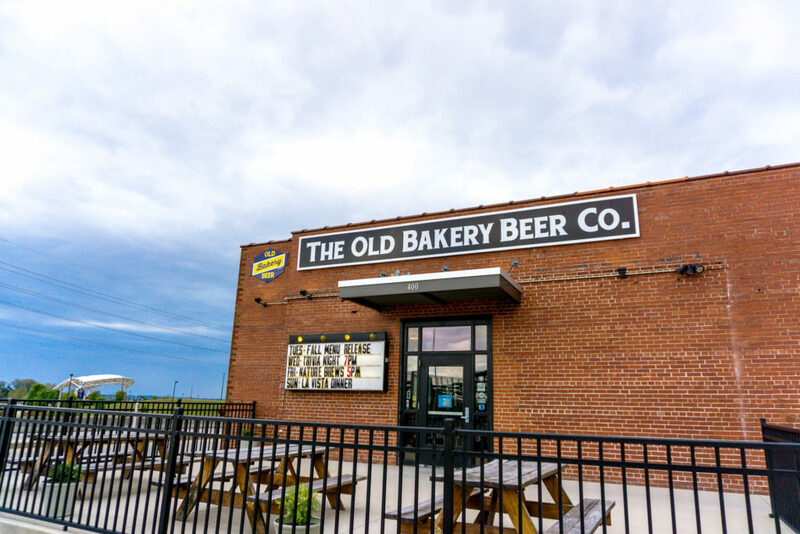 Old Bakery Beer is a certified organic craft brewery located in downtown Alton, Illinois. Not only do they offer organic beer, but also a sustainably sourced seasonal menu that supports local businesses and reduces the amount of waste made. 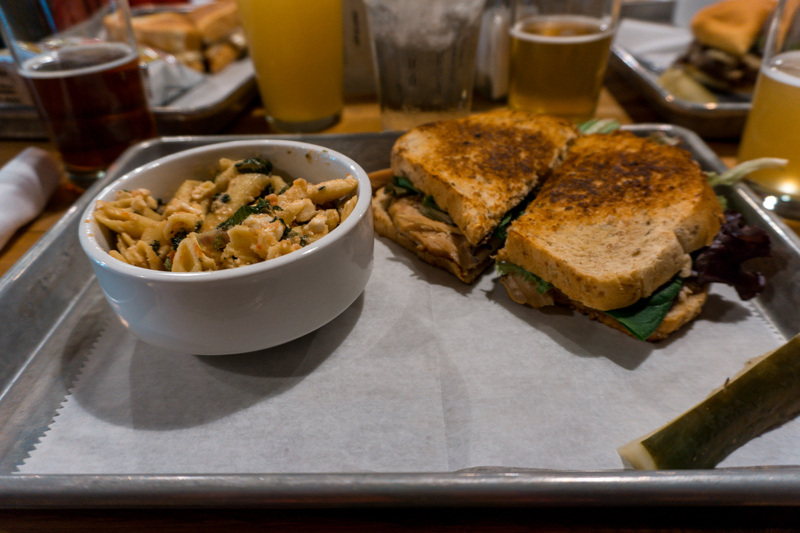 Their well-varied menu pairs well with any of their year-round or seasonal brews. Not only is their food sustainably sourced, the site of the brewery and restaurant is more or less, recycled. 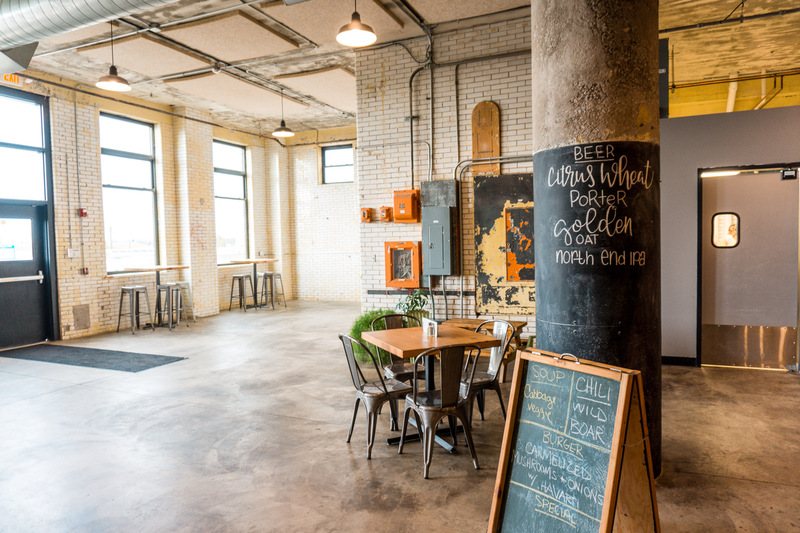 Owners and husband-wife duo, Lauren Pattan and James Rogalsky chose the location for Old Bakery Beer after finding the aged Colonial Bakery building in downtown Alton. 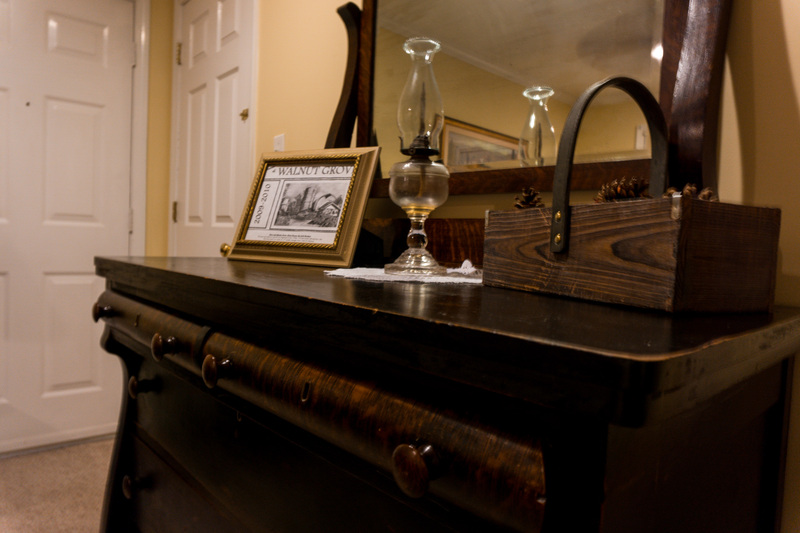 The building had a rich history leading back to the early 1800s when it started as a bakery. It remained a bakery until the 1980’s when it closed its doors for, what could have been, the final time until the legacy of Old Bakery Beer was born. 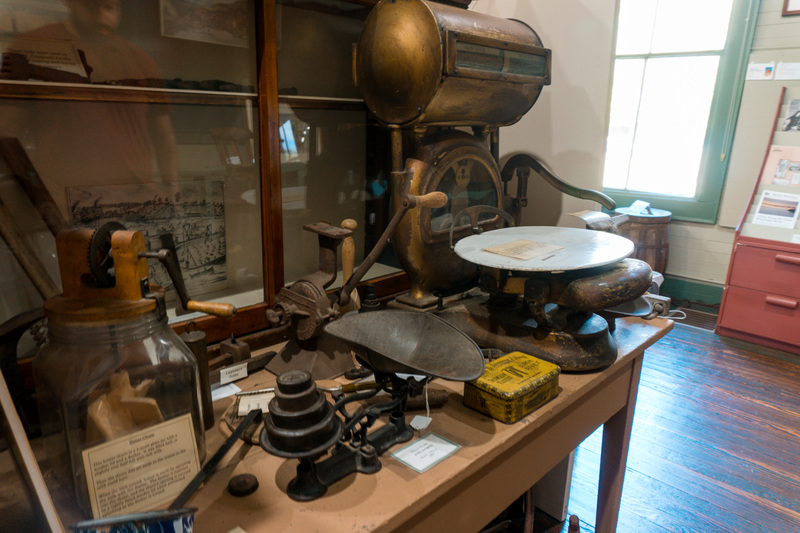 Owners incorporated memorabilia from its days as the Colonial Bakery and kept the majority of the structure the same which adds to the rugged character and charm of this hopping brewery restaurant. 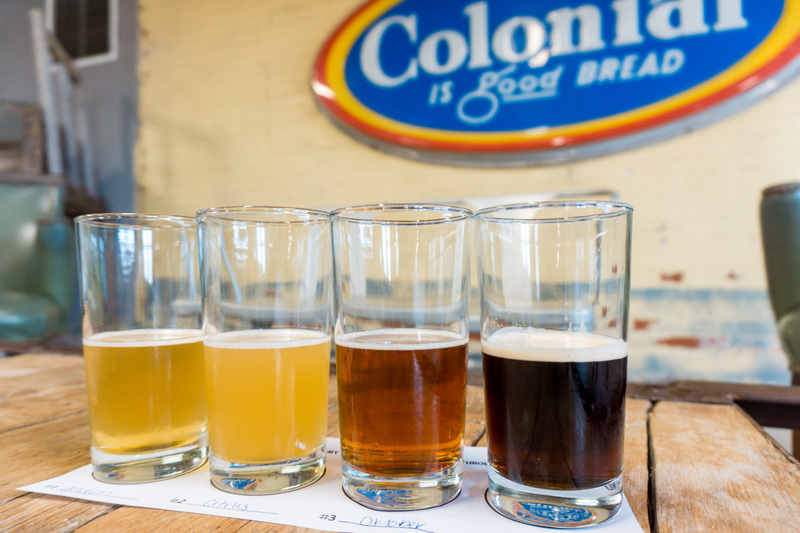 We enjoyed lunch at Old Bakery Beer and sampled a selection of four beers with their $7 flight. 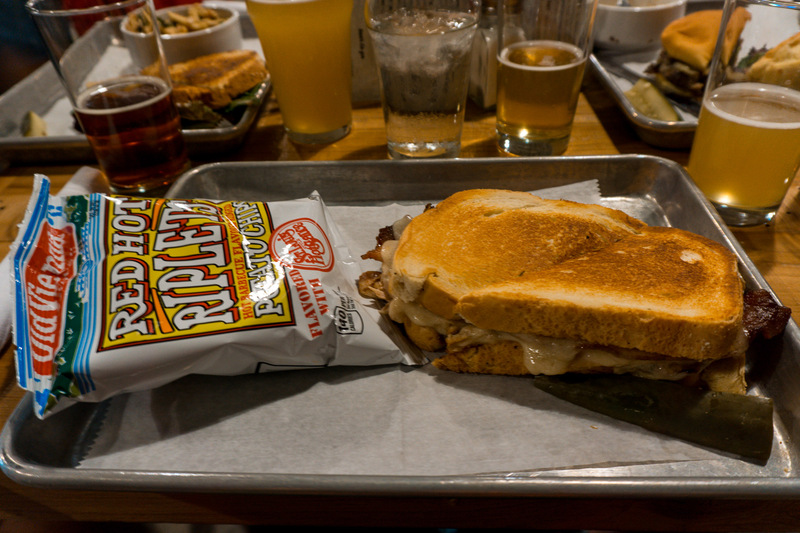 The Coop Special is perfect for those who enjoy a variety of meats and the Holiday Turkey tasted like Thanksgiving all wrapped up into one toasted sandwich. As for side items, local Red Hot Riplets are a popular choice, but the Kale Pasta Salad was fantastic! 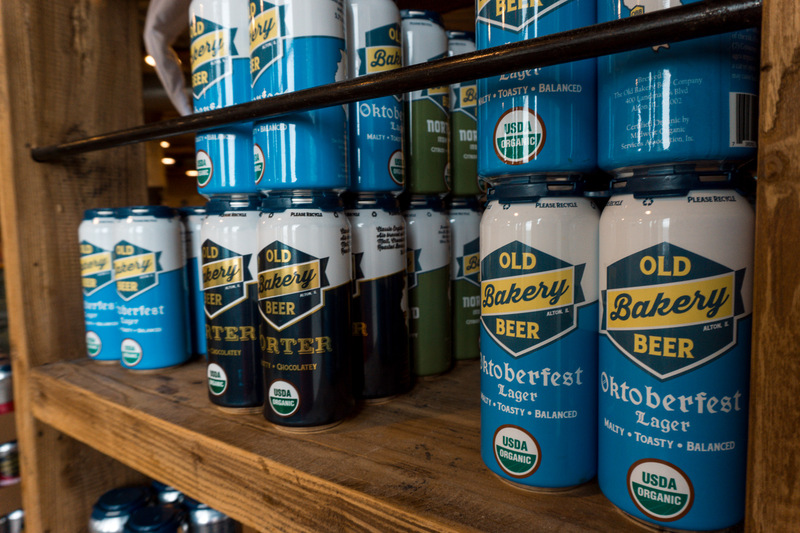 Needless to say, Old Bakery Beer is a must-stop for those who are looking for fresh, quality ingredients in a one-of-a-kind setting. 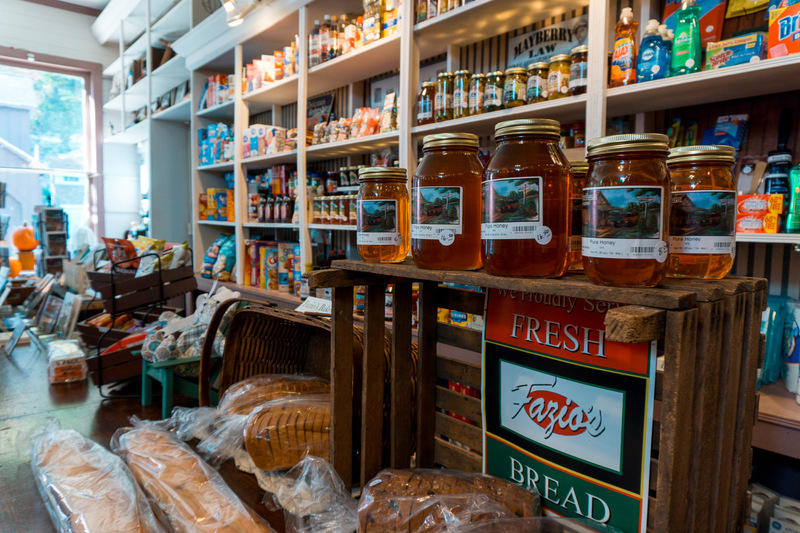 For over 60 years, Tony’s has been owned and operated by the Tony and Edie Ventimiglia family and a part of Alton’s history. Tony’s is well-known for their happy hour with a considerable wine selection, fantastic service, and alluring atmosphere but it’s best known for is the world-renowned pepperloin steak. 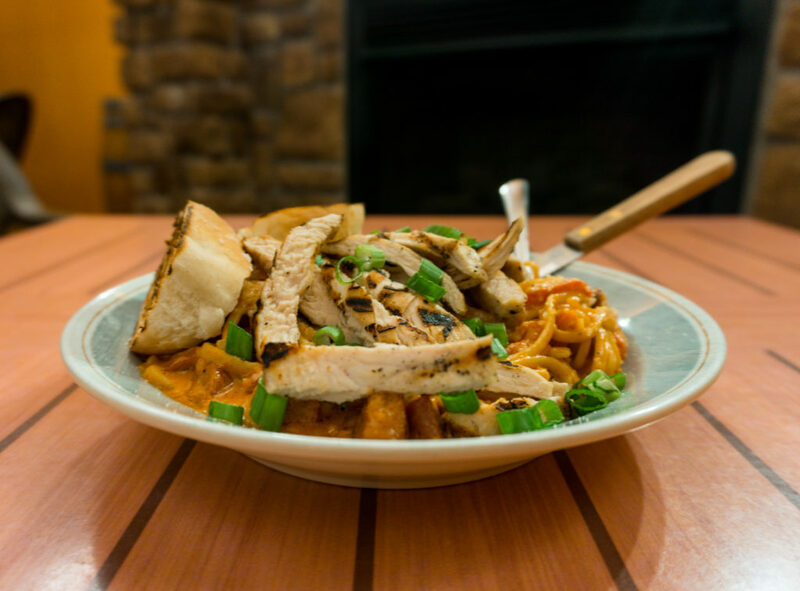 Tony’s also offers a variety of pasta, chicken, and seafood options on their expansive menu. 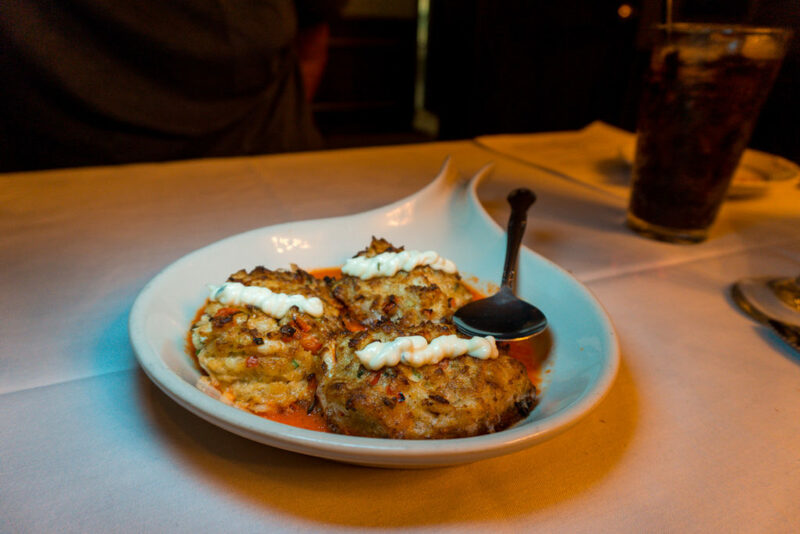 For starters, we ordered the crab cakes which were buttery, light, and the perfect portion for the two of us. 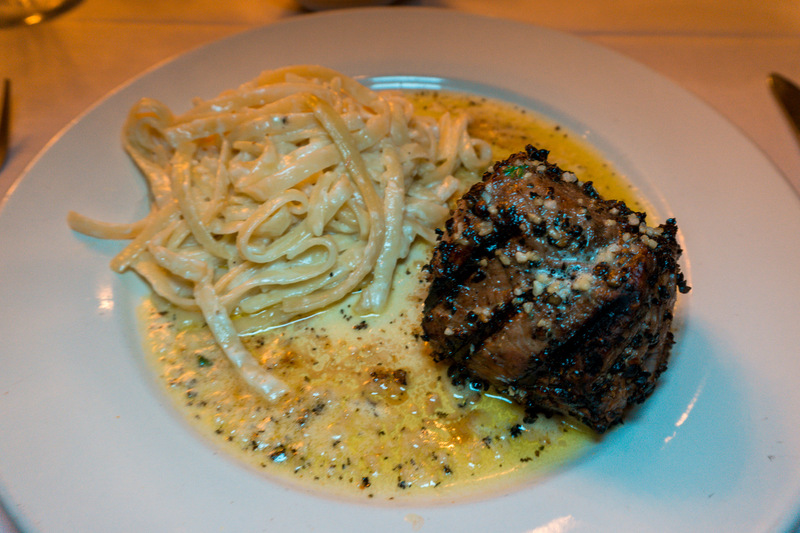 As for entrees, you can’t go without at least one member of your party ordering the signature pepperloin steak. The pepperloin steak was marinated, rolled in half-cracked black pepper, grilled to your liking and lightly covered in a garlic butter. 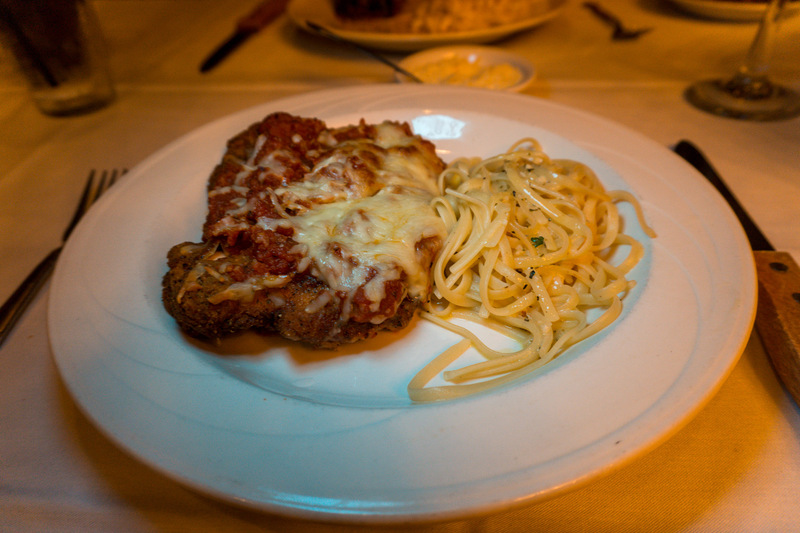 For another entree, the chicken parmigiana is an excellent choice, lightly breaded, baked, and covered in a sweet, rich marinara sauce and topped with parmesan cheese and paired perfectly with a glass of red wine. With each entree, you can choose two from the variety of sides Tony’s has to offer. A pasta accompaniment is perfect for any dish, and the crispy “broasted” potatoes are a unique blend of fries and a baked potato. 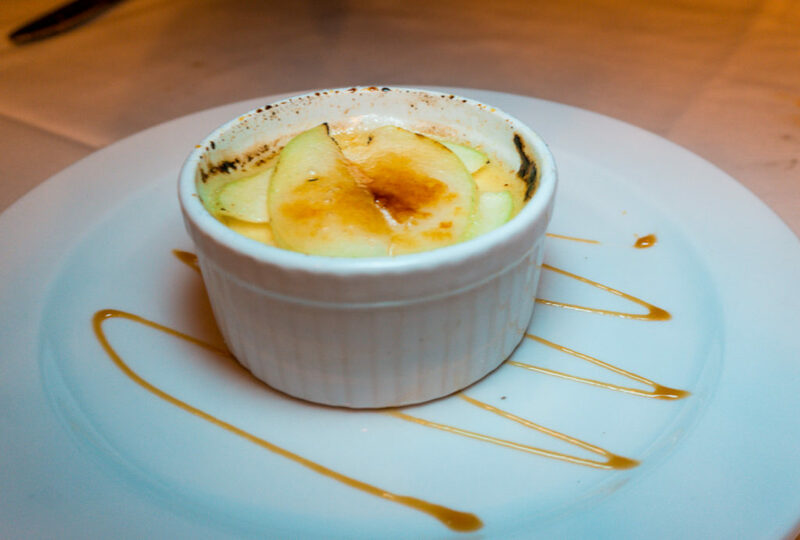 As if this wasn’t enough to leave you stuffed, save room for one of their seasonal Crème Brûlée choices. The legend of Fast Eddie’s Bon Air is most definitely intriguing. In 1921, Anheuser Busch sought to open a tavern close to the river town of Alton, Illinois. 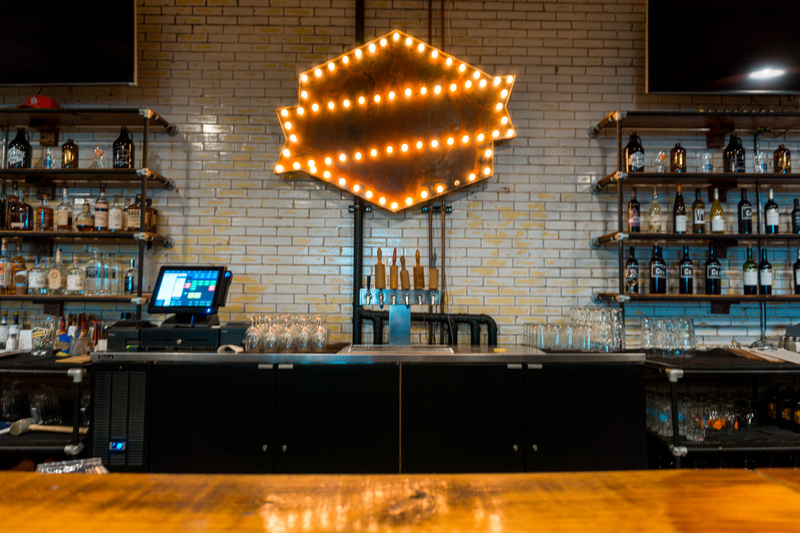 Ten years after Bon-Air’s opening, it was forced to close its doors as new laws came into play that did not allow breweries to own drinking establishments. Later, a father-son duo owned and operated Bon-Air for more than 50 years. 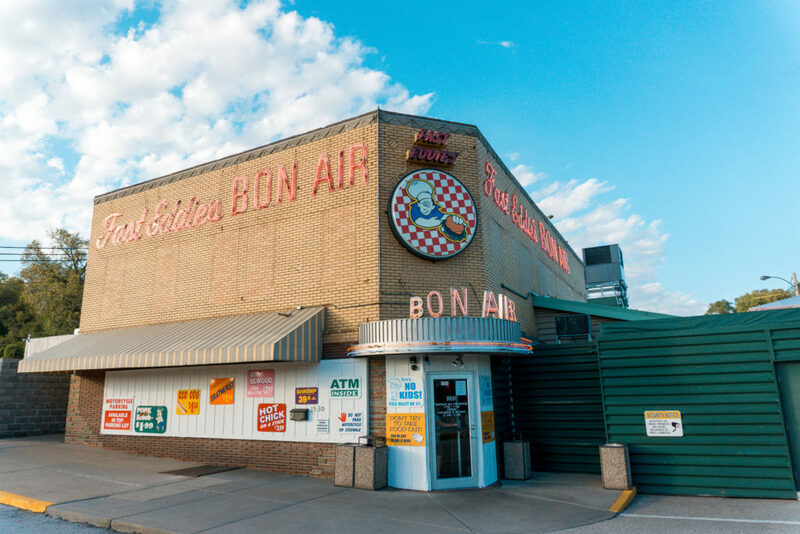 Then in 1981, Eddie Sholar (aka Fast Eddie) purchased the Bon-Air and within twenty years it quadrupled in size and became a popular weekend spot featuring live music and a small menu with items that haven’t changed prices since they were added nearly 20 years ago. 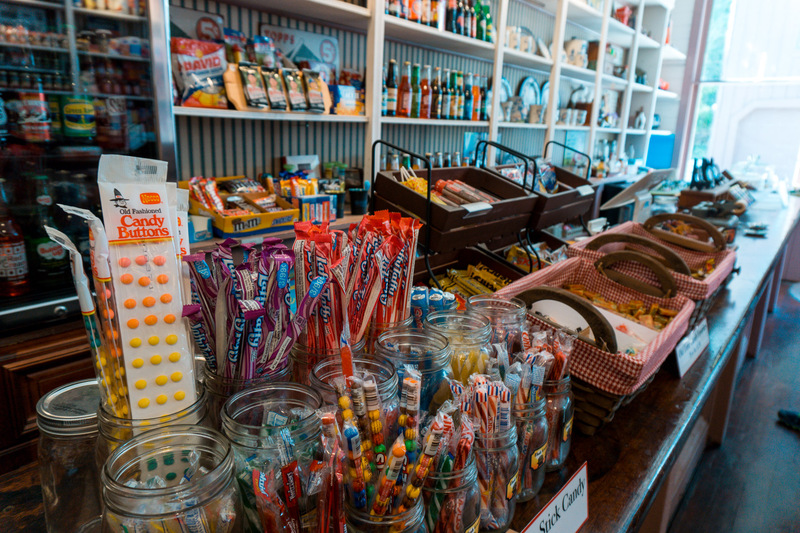 Stop in for yourself to see what Fast Eddie’s is all about! 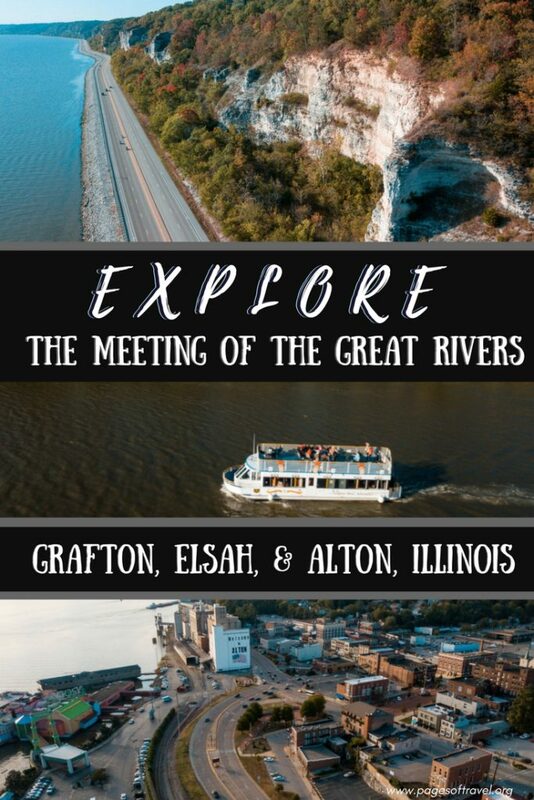 Whether you’re looking for the perfect romantic getaways in Illinois or a weekend getaway from St. Louis or for a place to experience tranquility, adventure, or history, the meeting of the great rivers has something to offer for everyone.